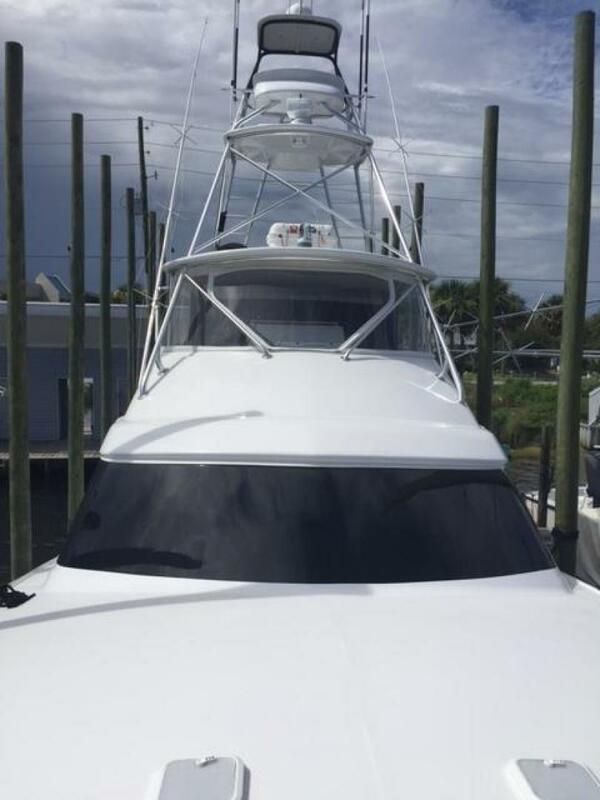 Back on the Market And Just Reduced 100K!! 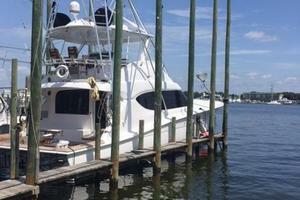 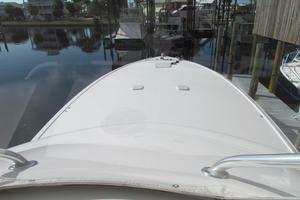 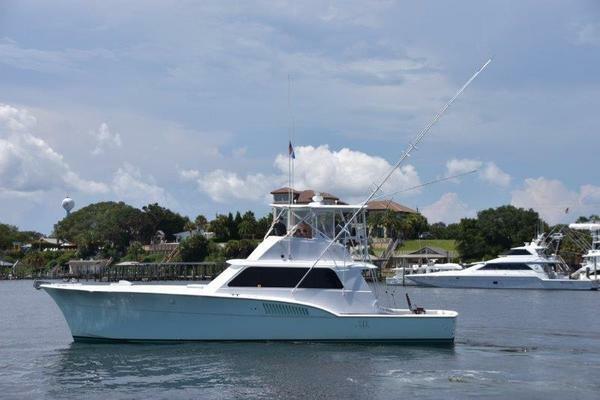 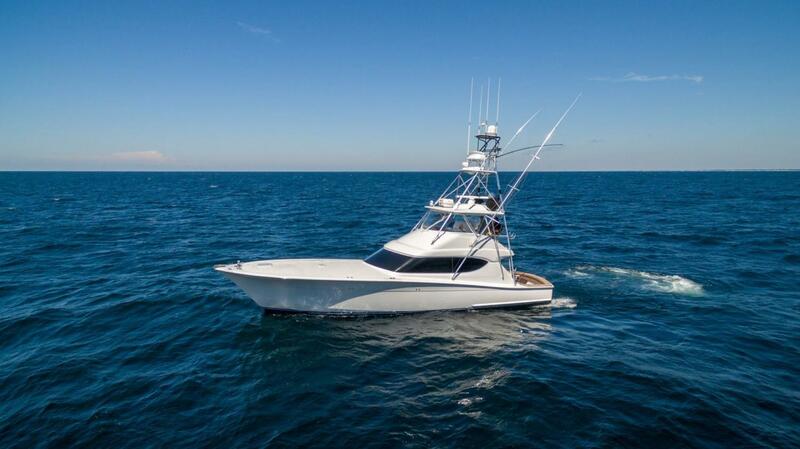 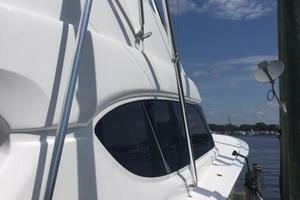 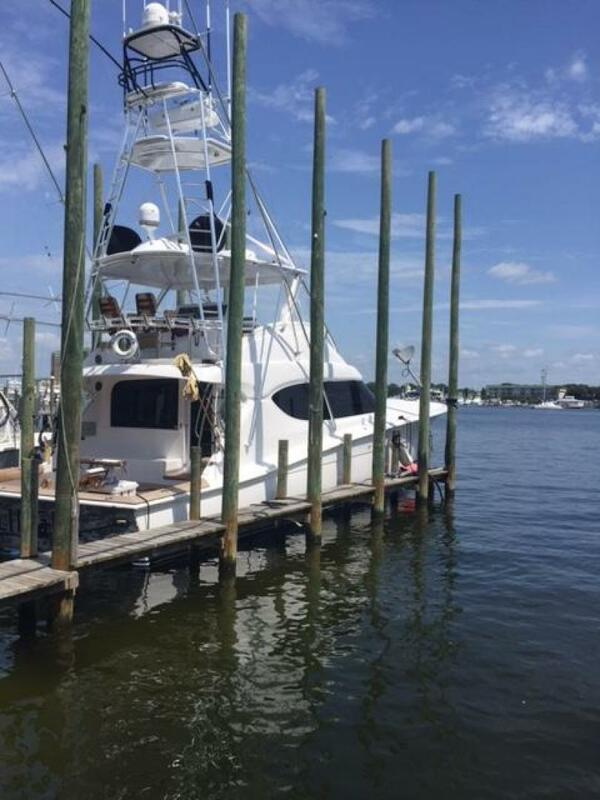 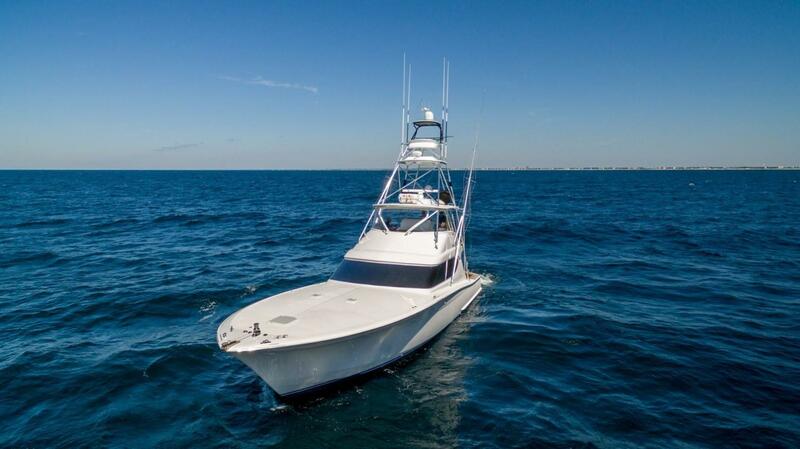 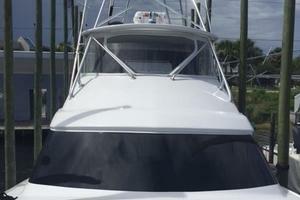 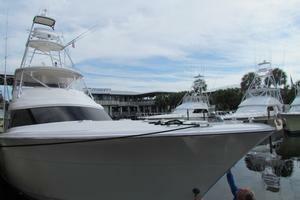 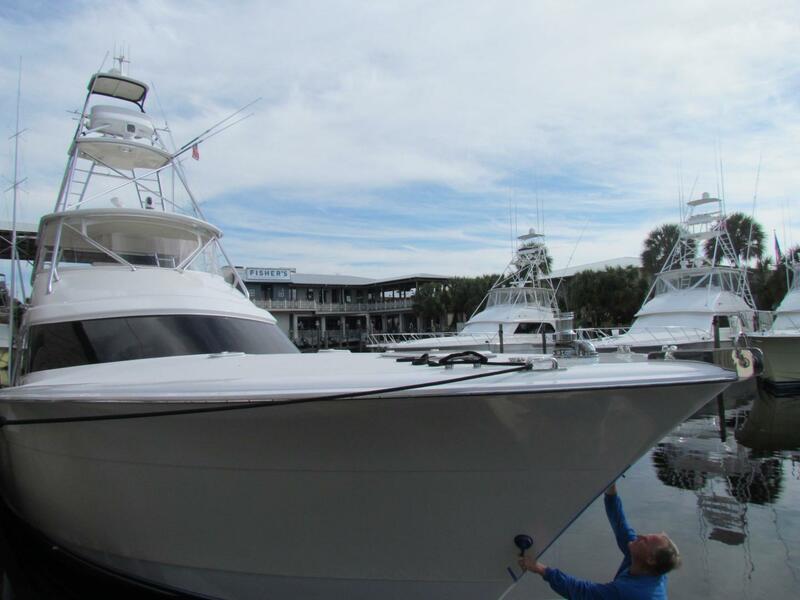 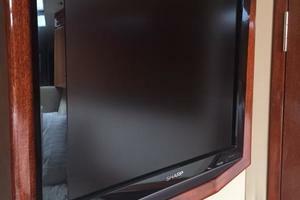 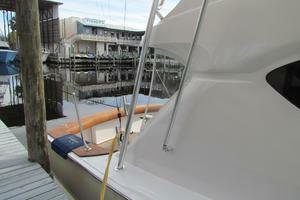 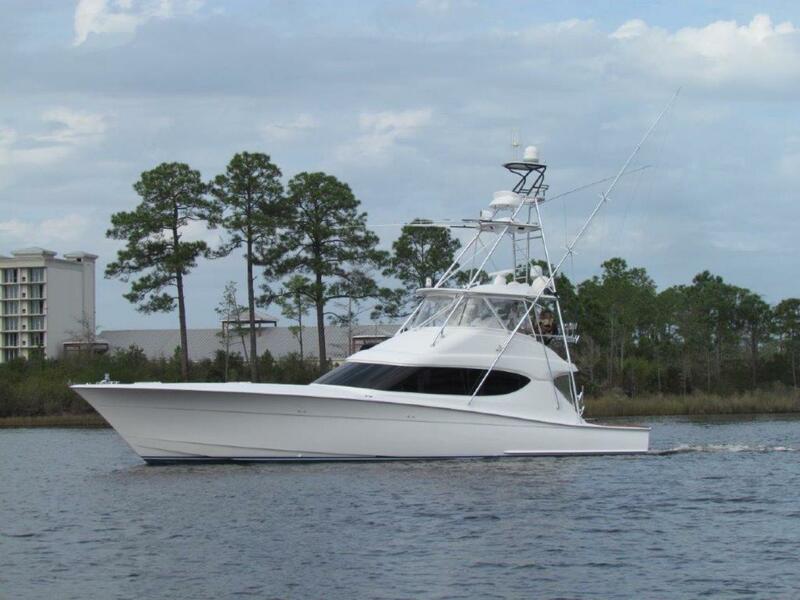 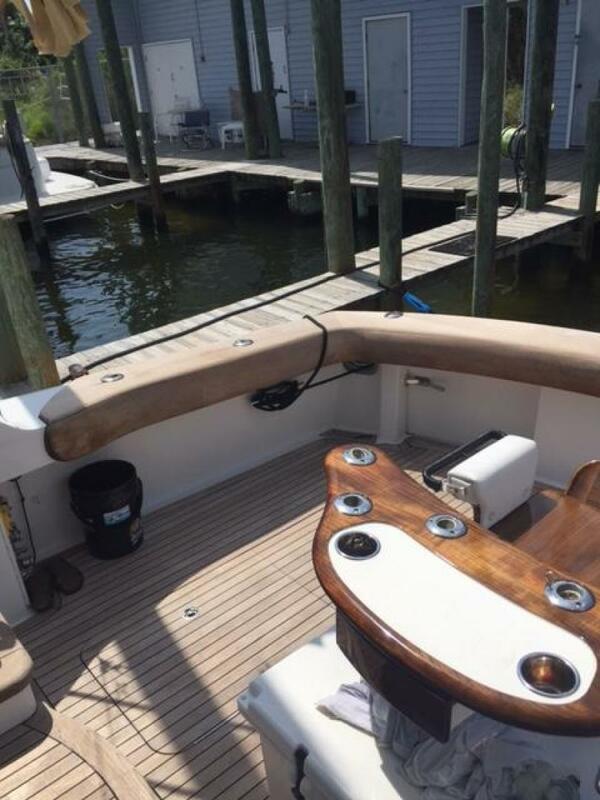 Owner is ready to move up to a larger Hatteras, but needs this one gone first! 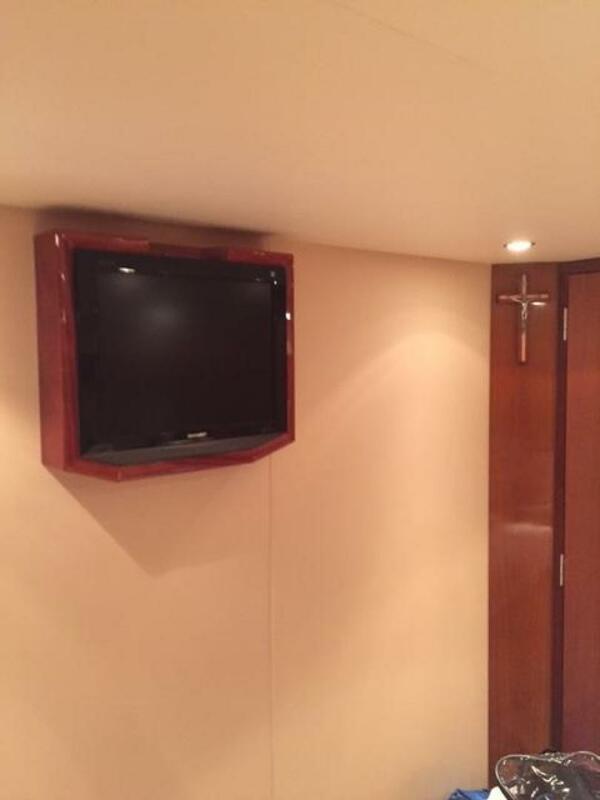 With that said, offers are encouraged. 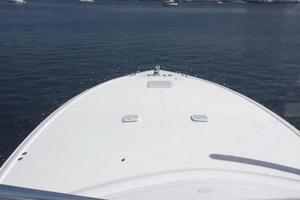 She is truly a "Must See". 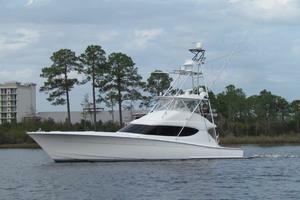 Probably on of the nicest 60GTs on the market!! 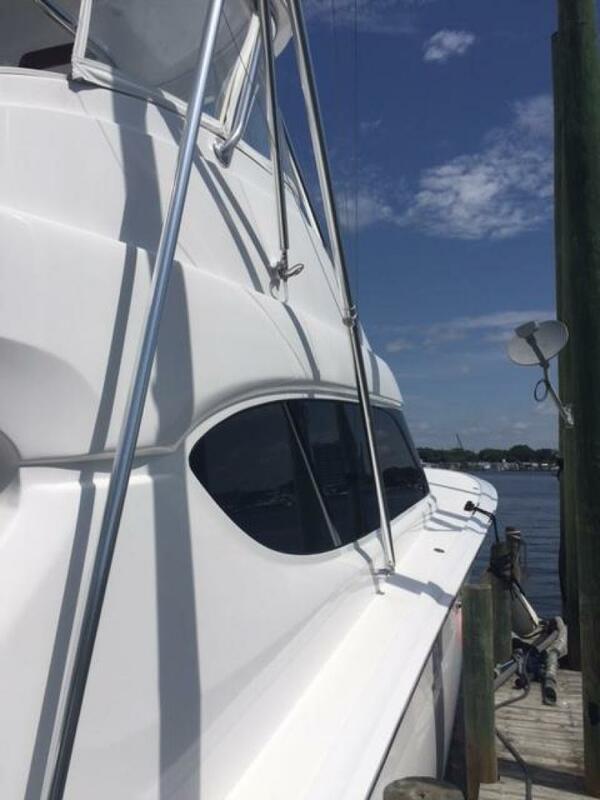 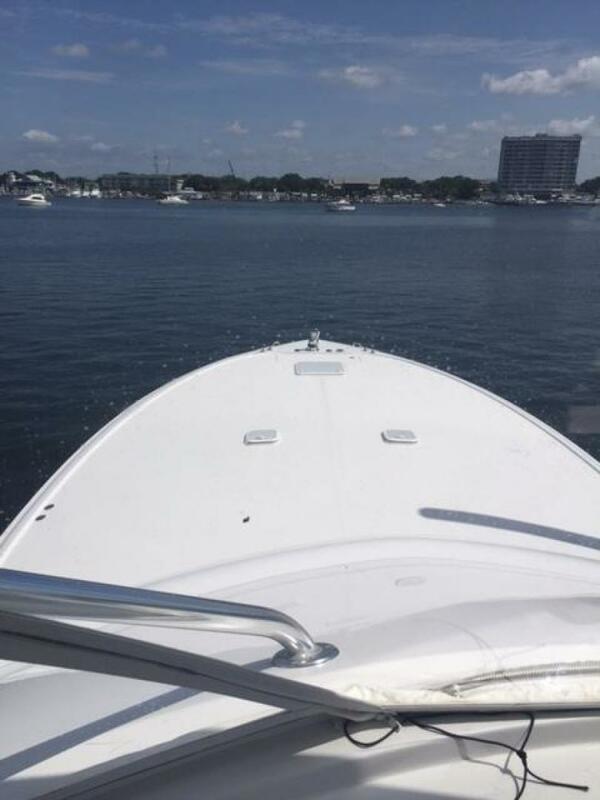 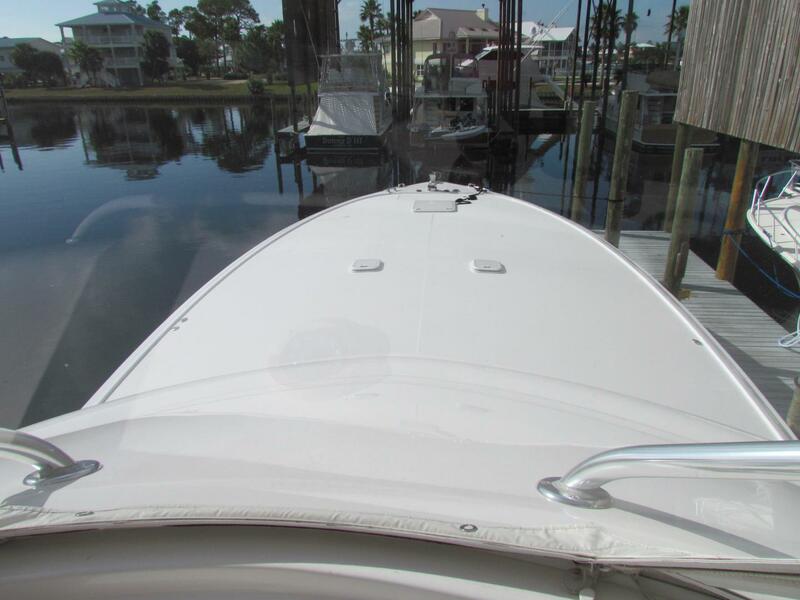 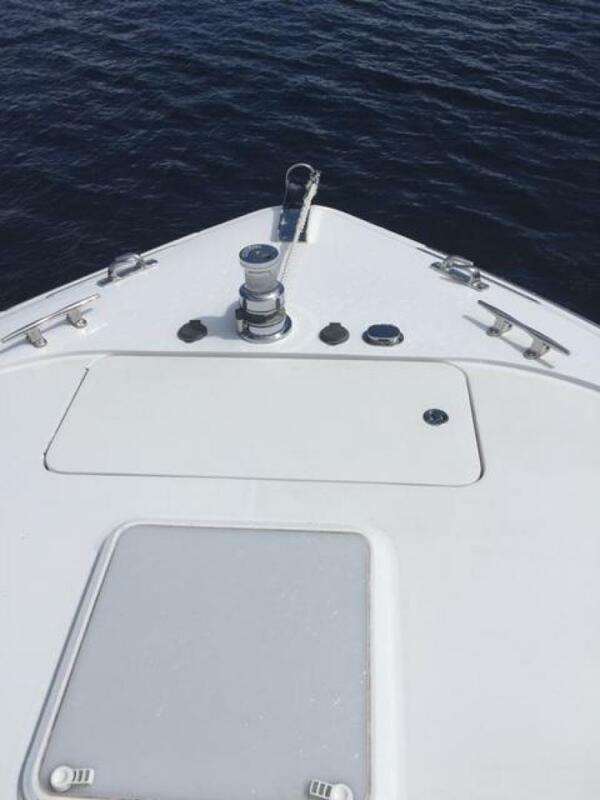 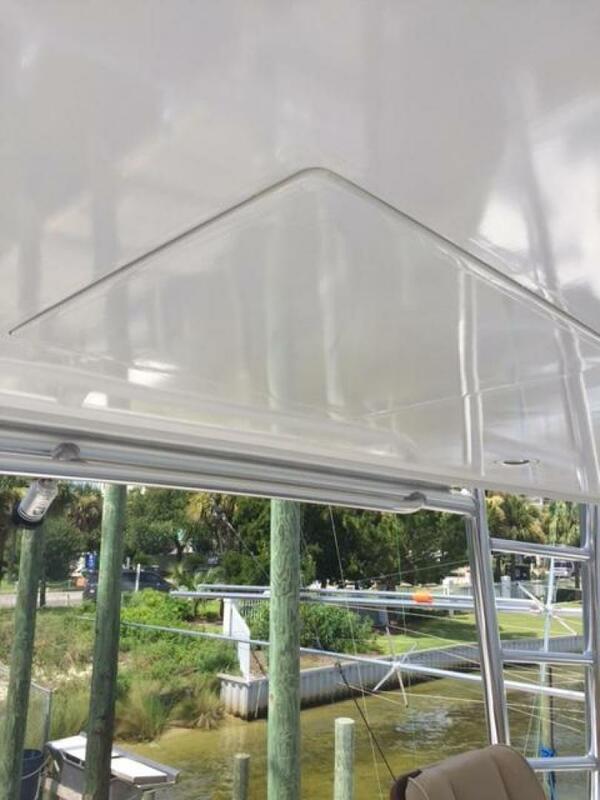 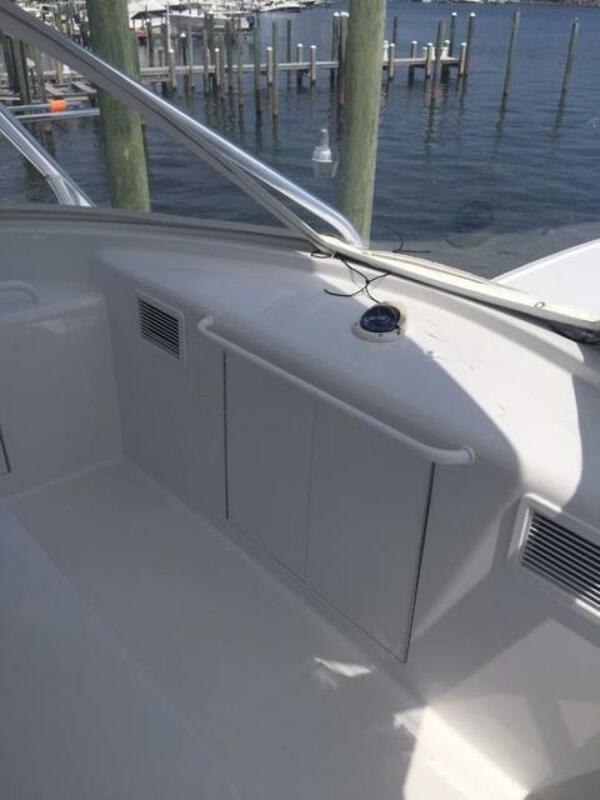 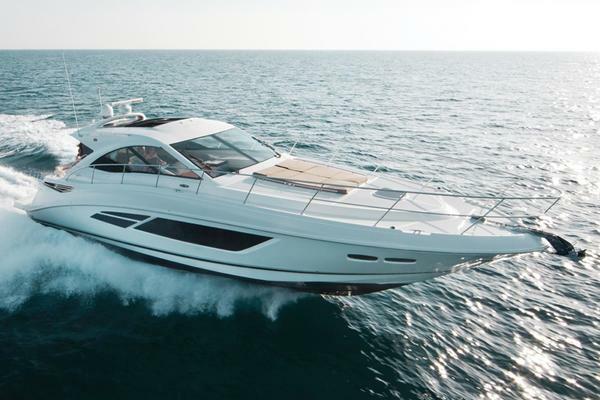 This new generation 2008 60 GT Resin infused Hatteras has fresh painted non-skid (2016), toe rails, and hull sides (2016). 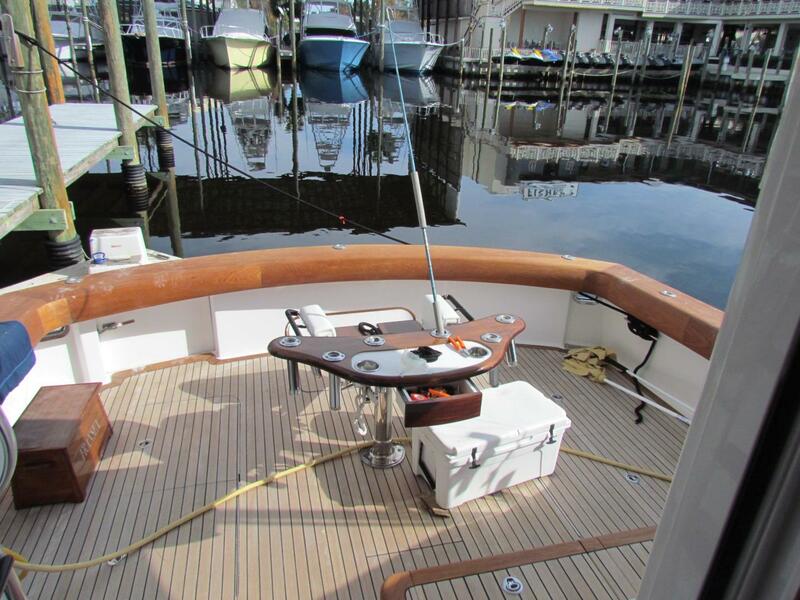 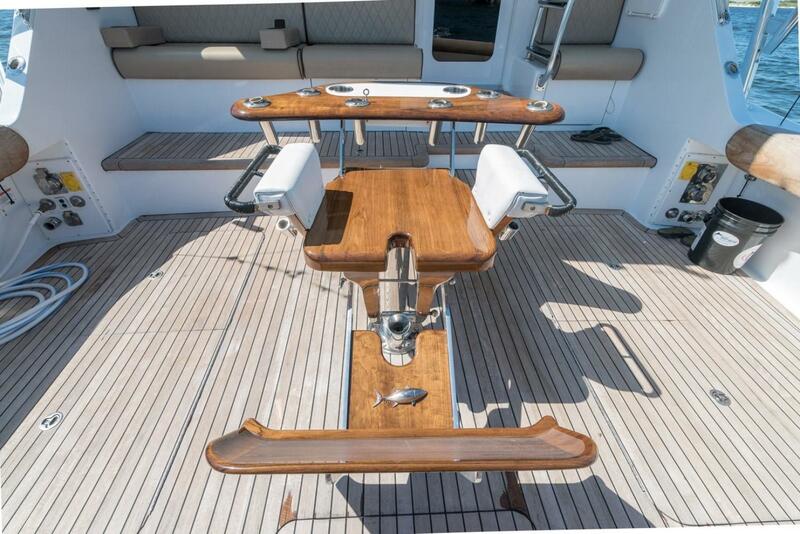 It is built with a rich high gloss mahogany interior, full Bausch tower, hydraulic outriggers and features many options to include teak cockpit sole and mezzanine, teak covering and coaming boards, Additional items to note include Murry Brothers fighting chair, no pulpit, but has a Maxwell windlass, electric teaser reels, underwater lights, and an ice chipper. 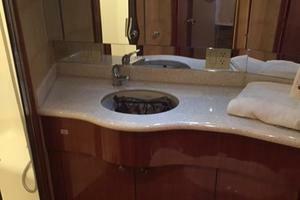 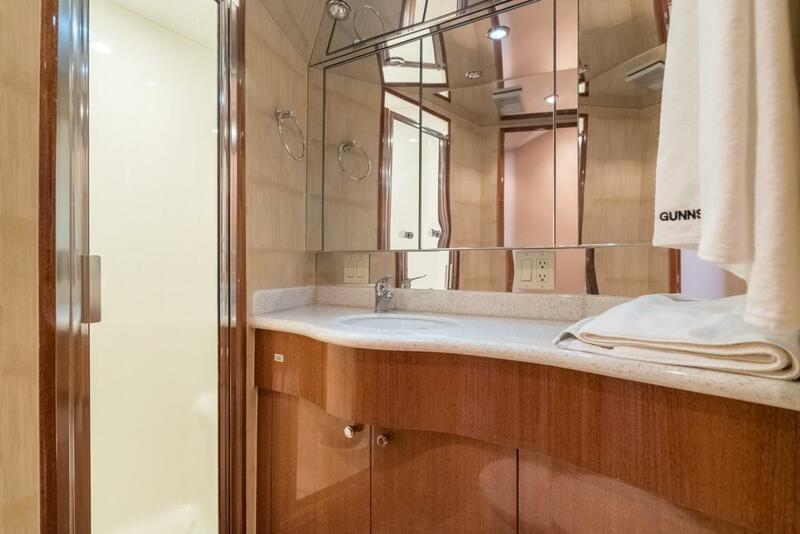 Her interior showcases a rich gloss mahogany, customized salon and galley built to accommodate all guests while dining and a true GT with three stateroom and three heads. The master arrangement showcases an awthortship arrangement wit ha king walk around berth with cedar storage below, full hanging lockers along the aft bulkhead and two separate dressers along with twin nightstands, so she has tremendous storage capacity. 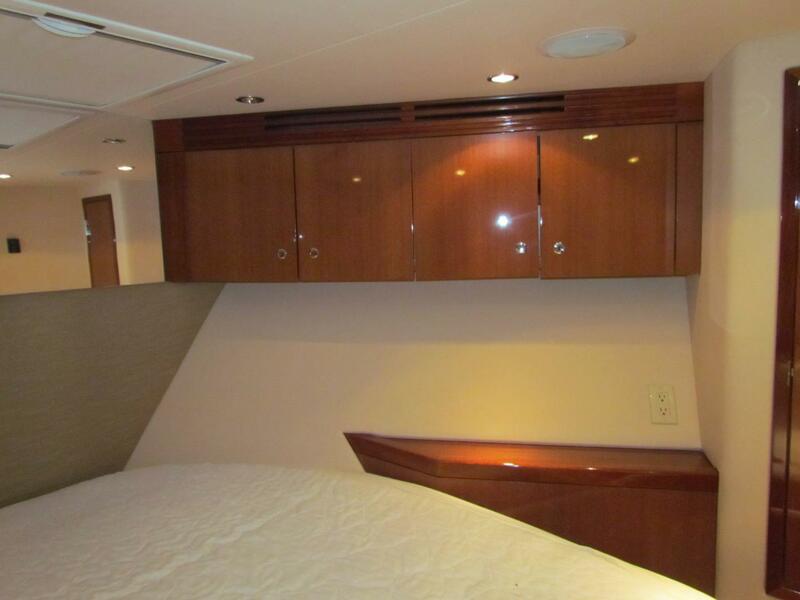 Forward the bow stateroom provides a queen walk around berth with storage below as well as twin hanging lockers and upper cabinets to the hull sides. 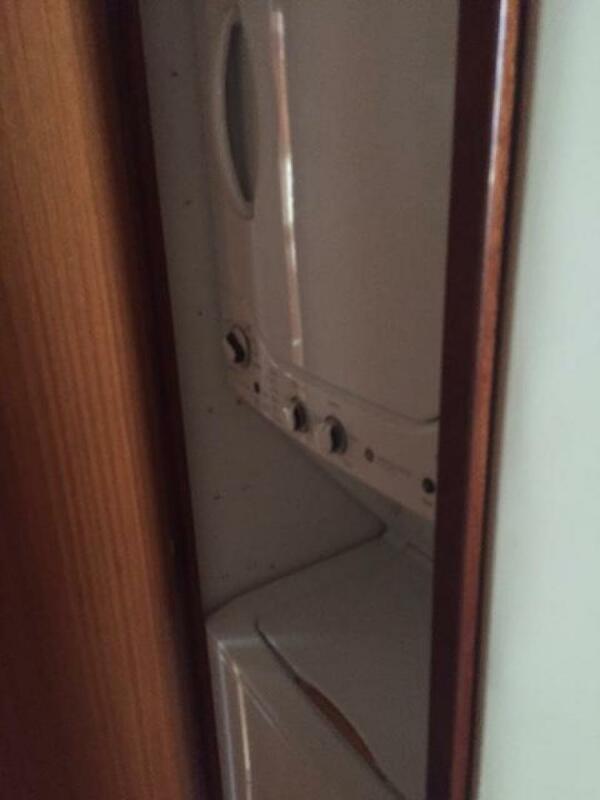 Aft, you will find the third stateroom with over/under berths. 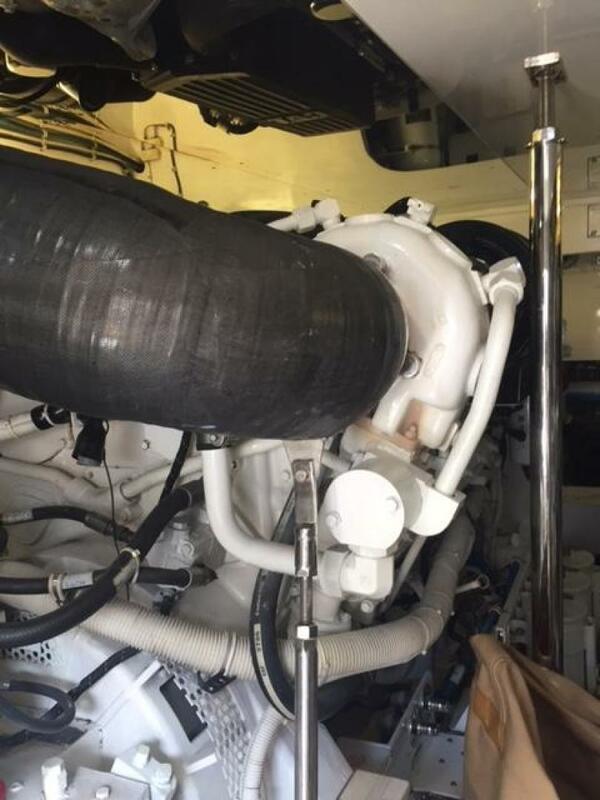 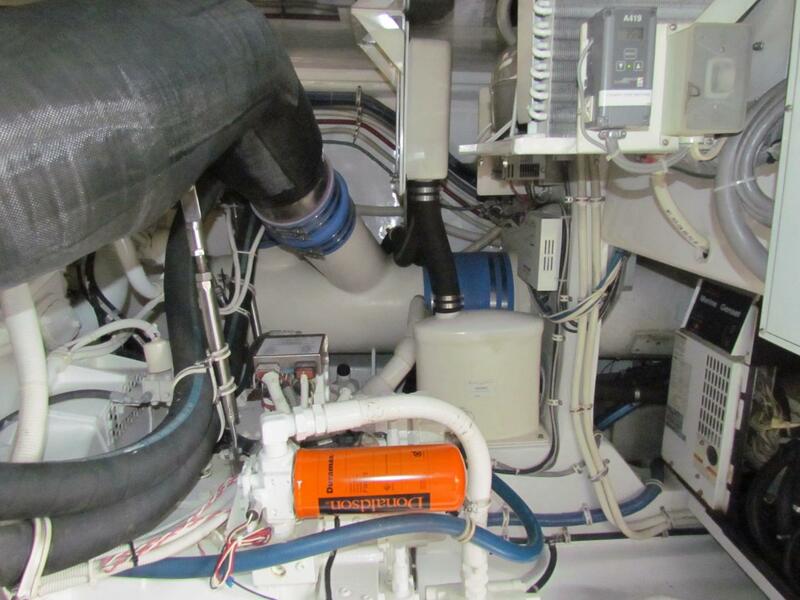 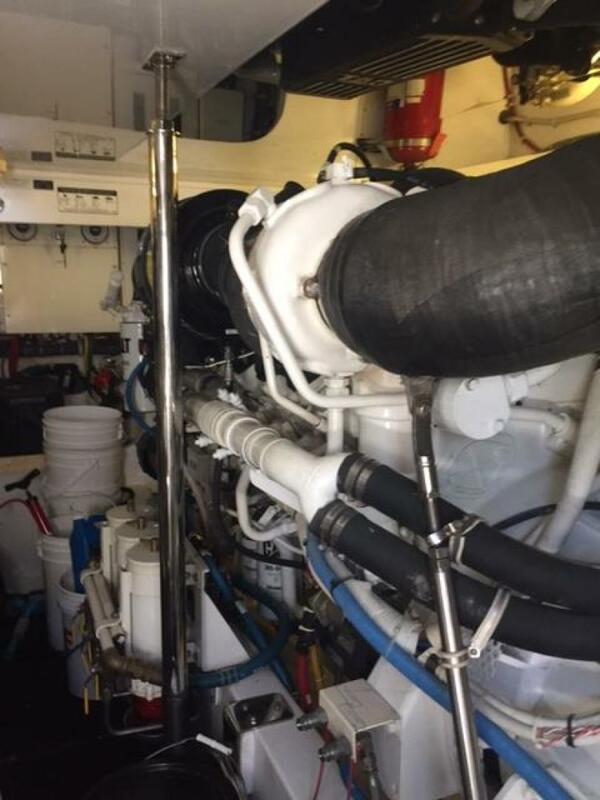 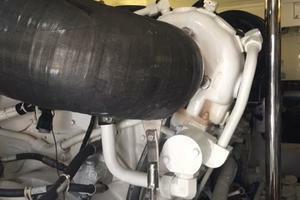 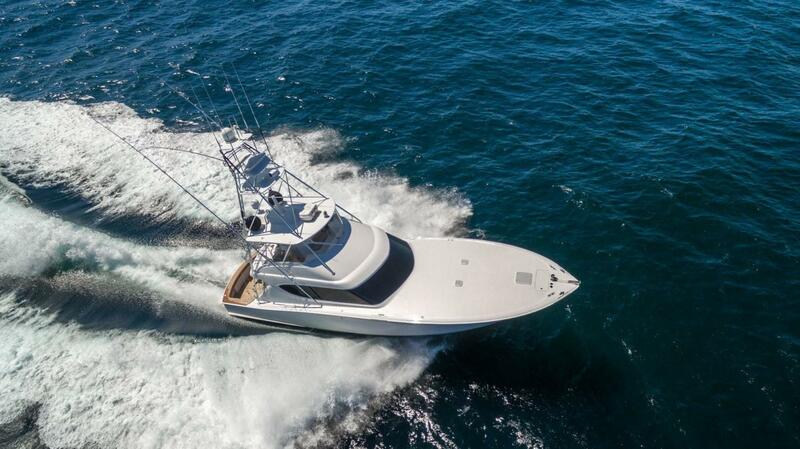 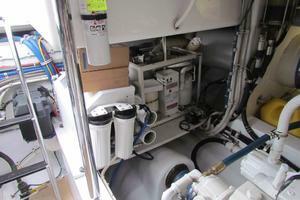 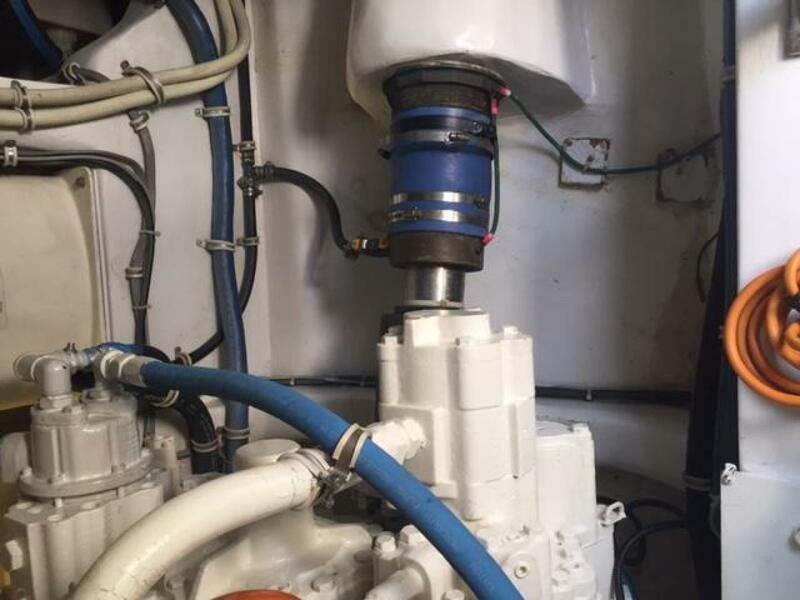 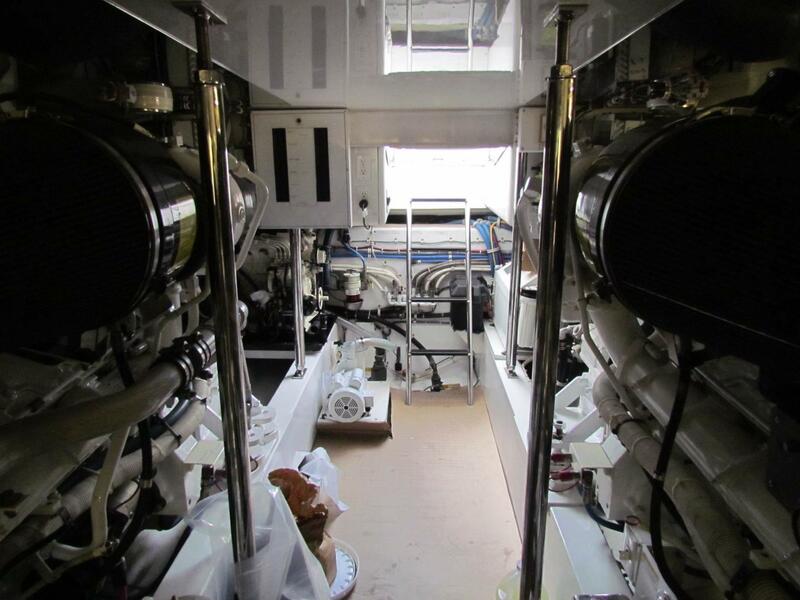 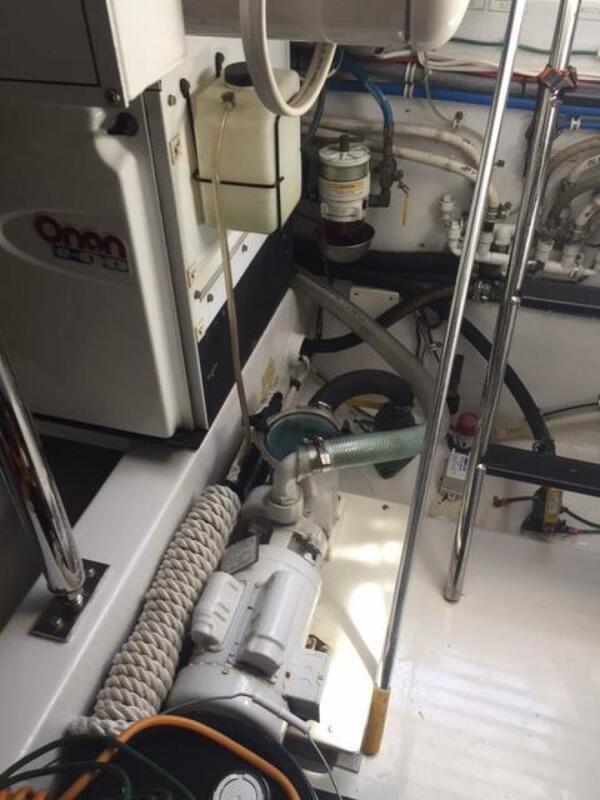 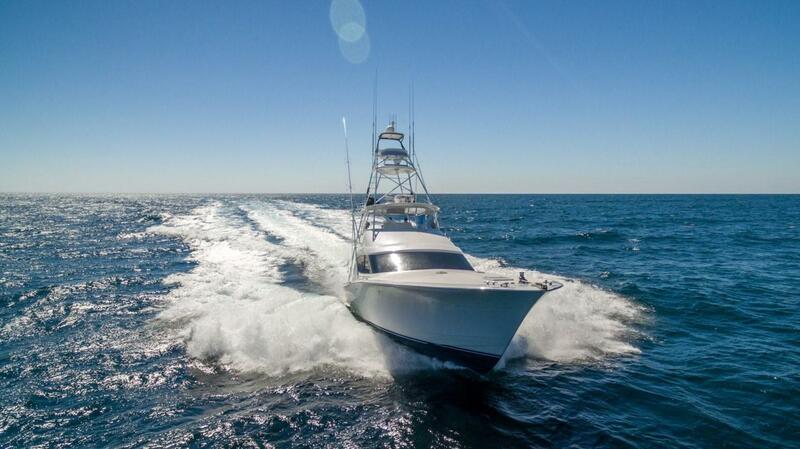 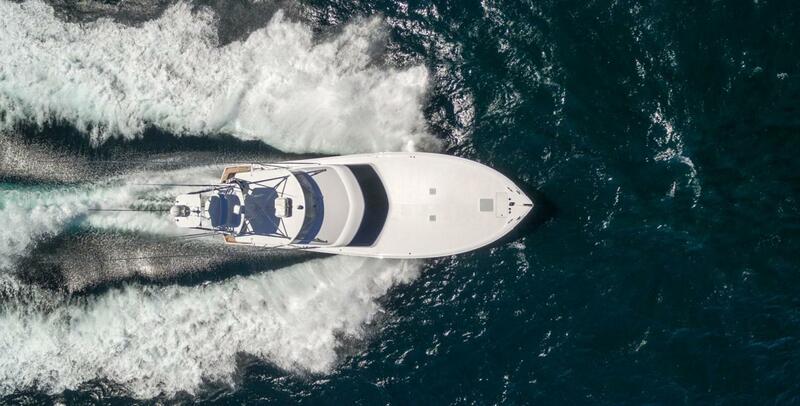 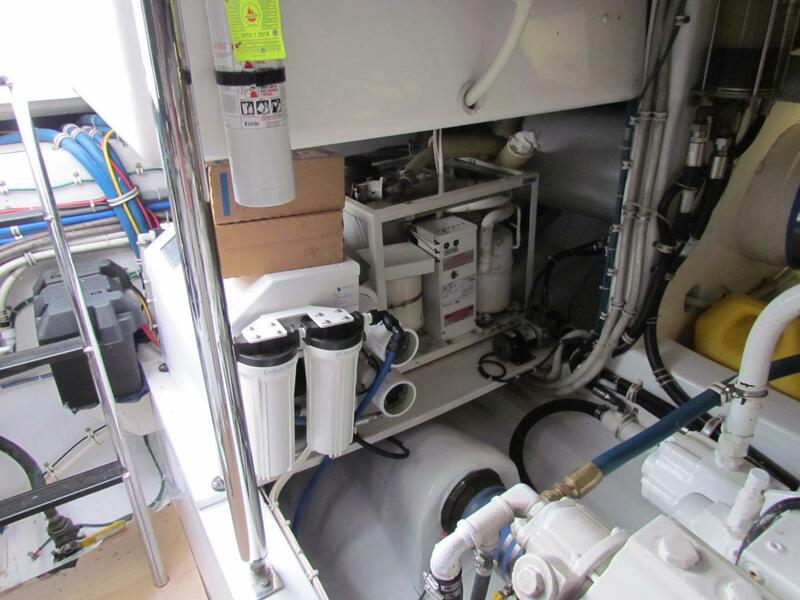 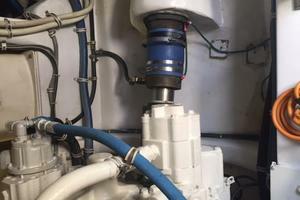 This 2008 Hatteras 60GT is powered by Twin CAT C32A's @ 1800 BHP, and has a transferable Platinum Extend Warranty. 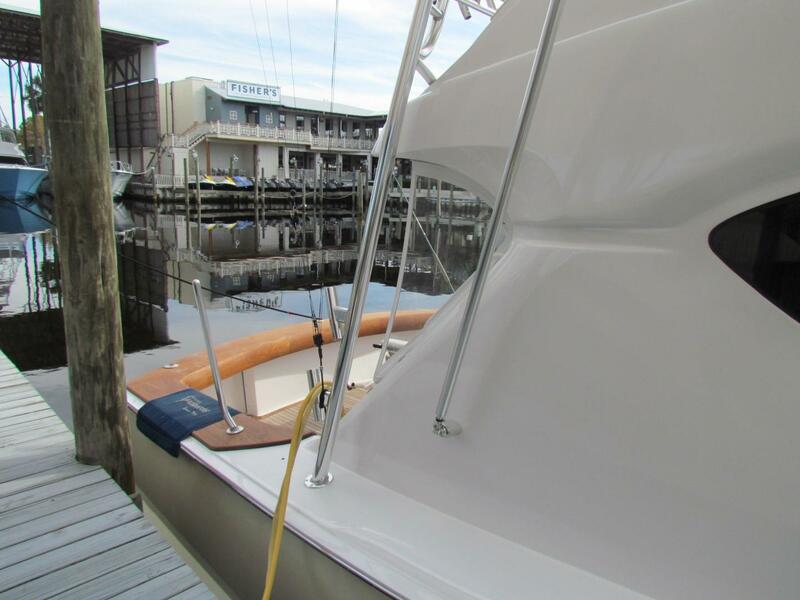 She has fresh painted non-skid, toe rails and hull sides. 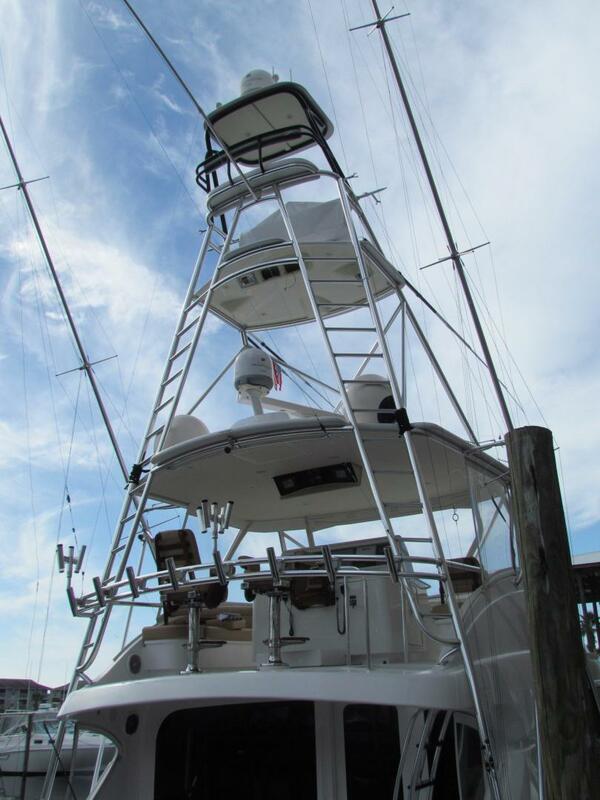 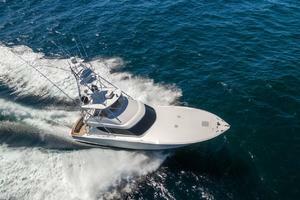 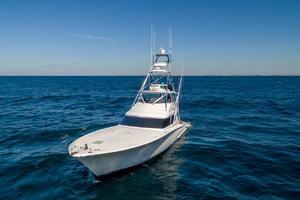 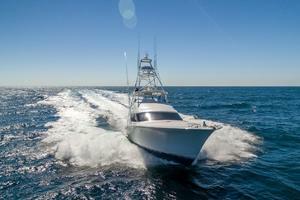 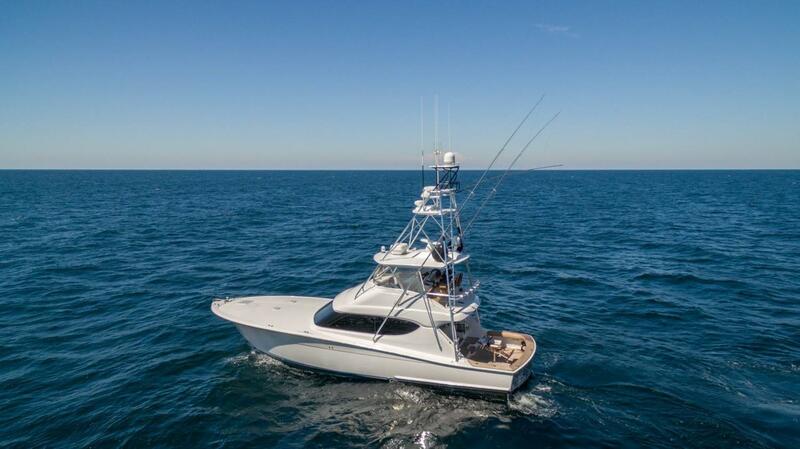 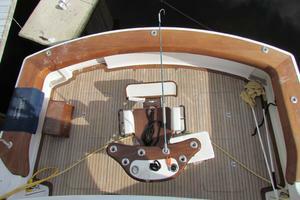 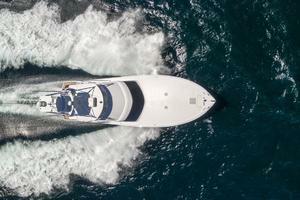 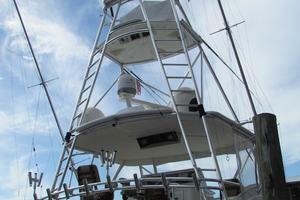 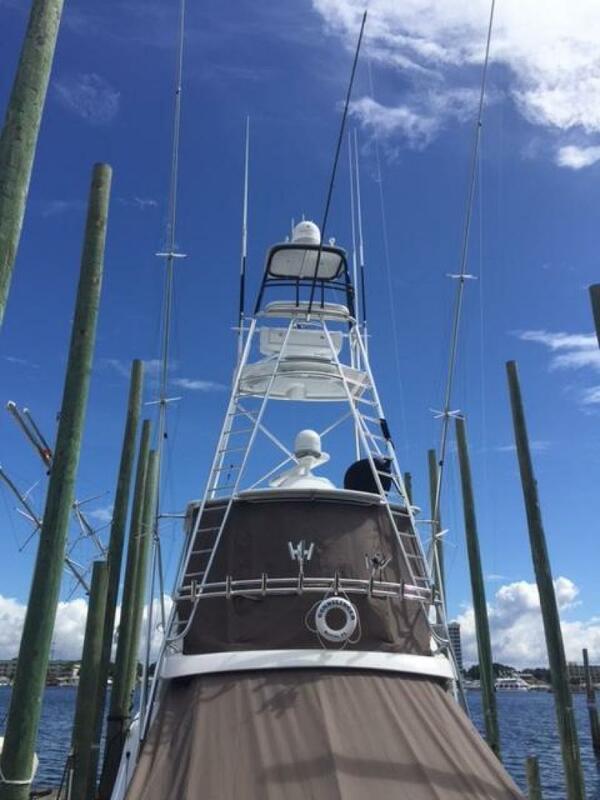 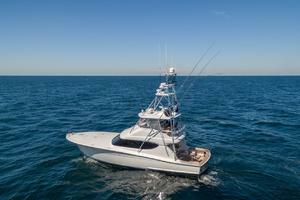 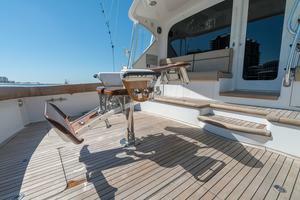 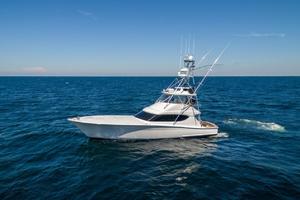 She is equipped with a full tower built by Bausch with Hydraulic Outriggers, and electric teasers. 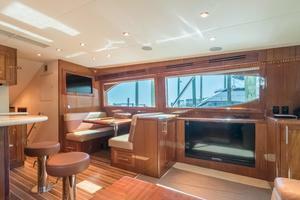 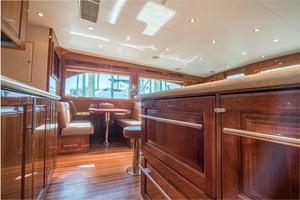 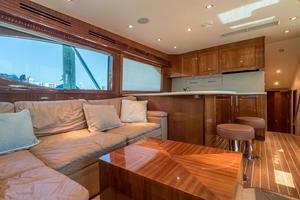 Inside she showcases a rich gloss Mahogany interior wood. 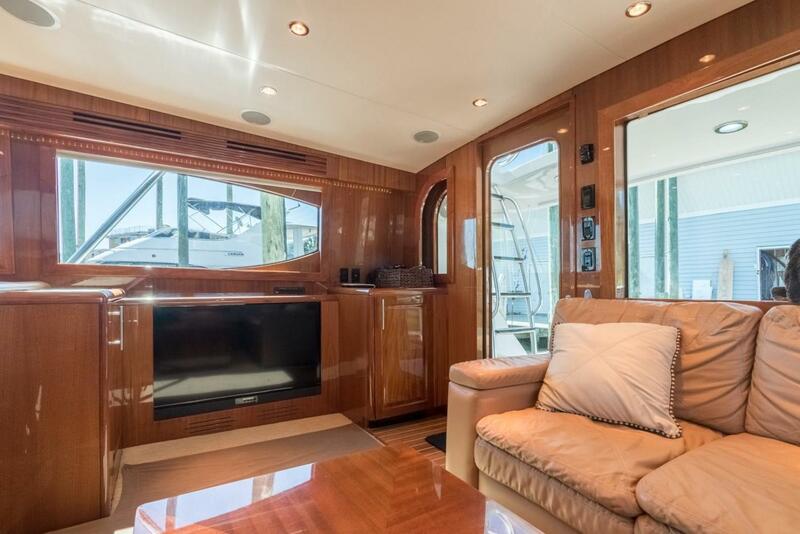 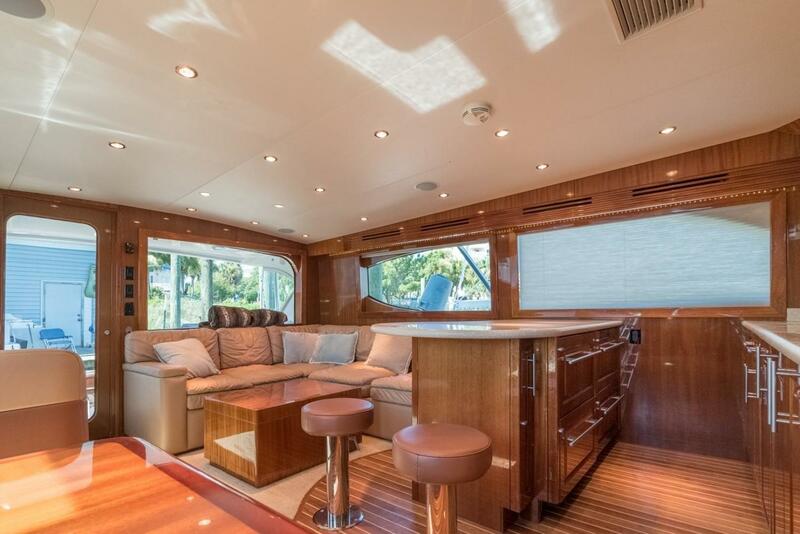 The salon and galley were customized to easily dine six people, with a booth style dinette and two bar stools surrounding the custom built galley pensunila. 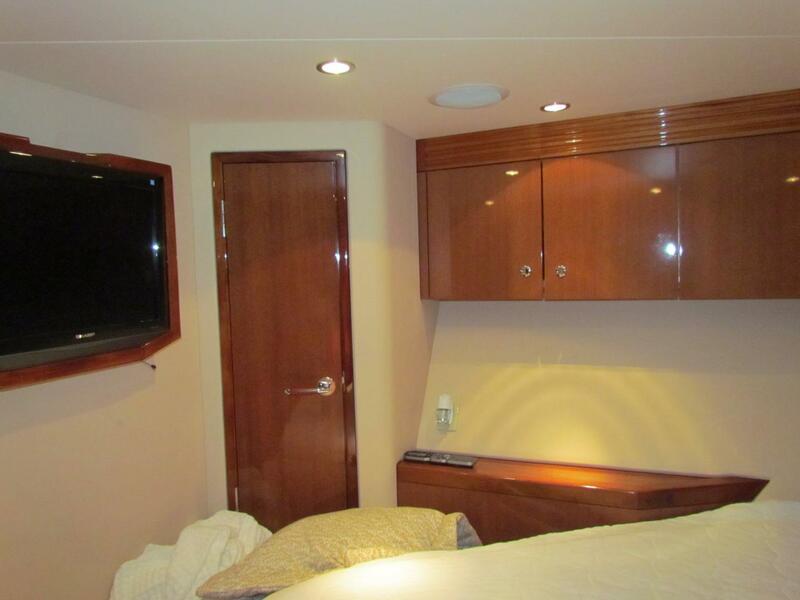 Below decks the arrangement provides for three staterooms, each with their own private head. 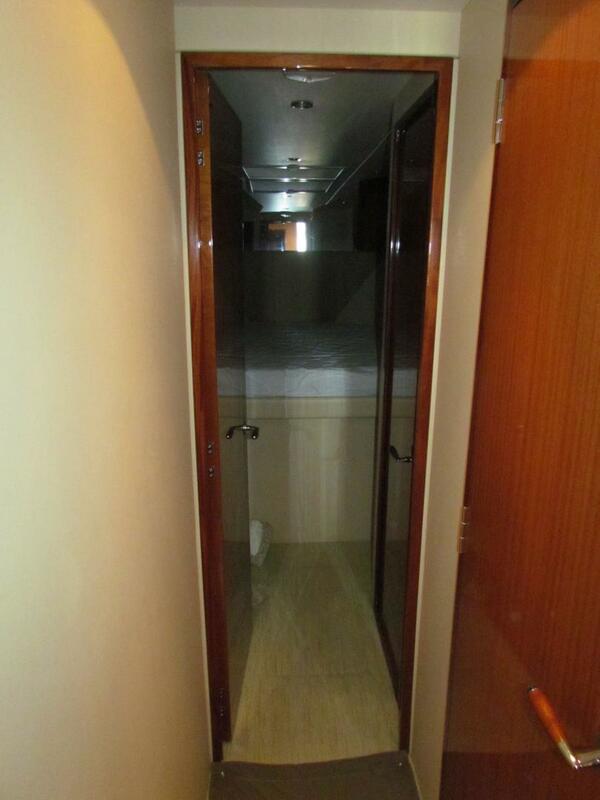 The master has a king size walk around berth positioned awthortship. 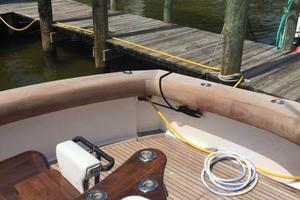 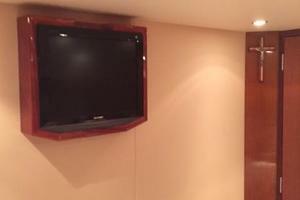 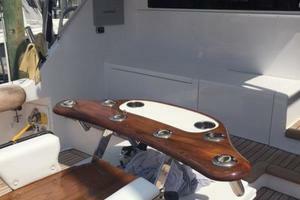 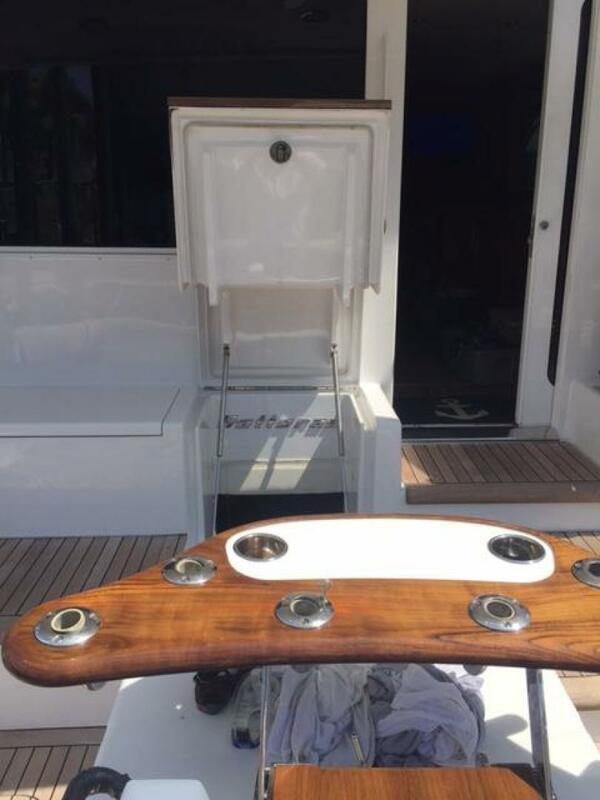 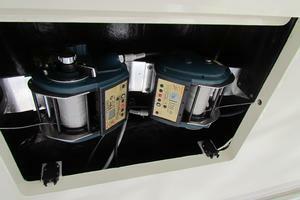 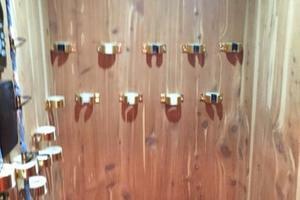 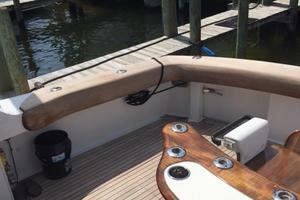 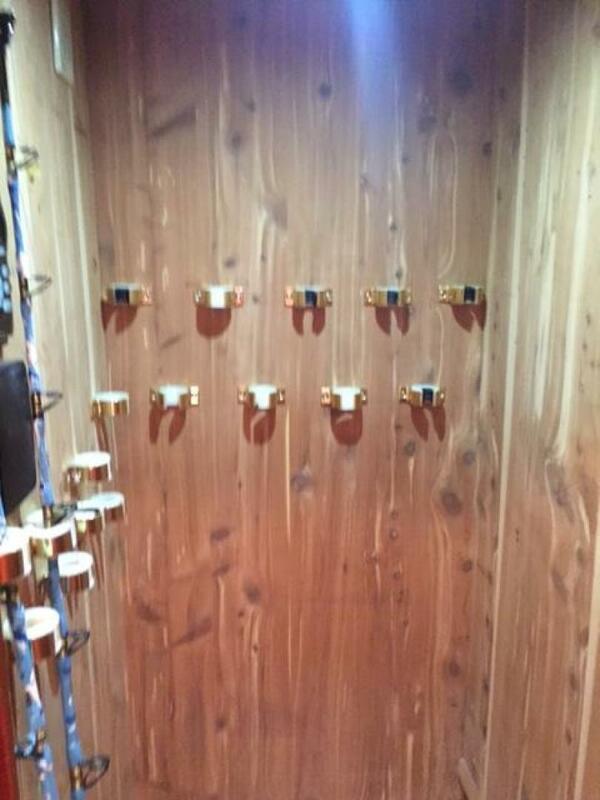 Aft along the bulkhead you will find twin cedar lined hanging lockers. 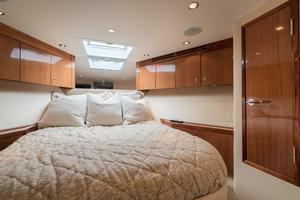 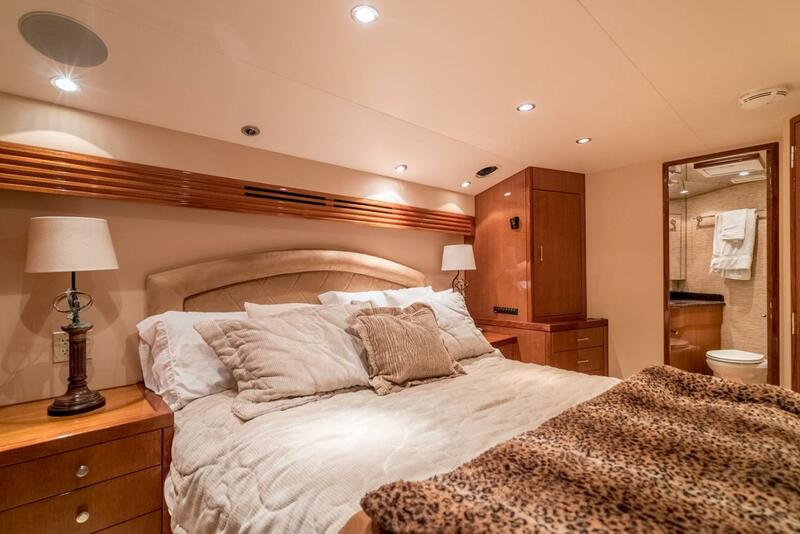 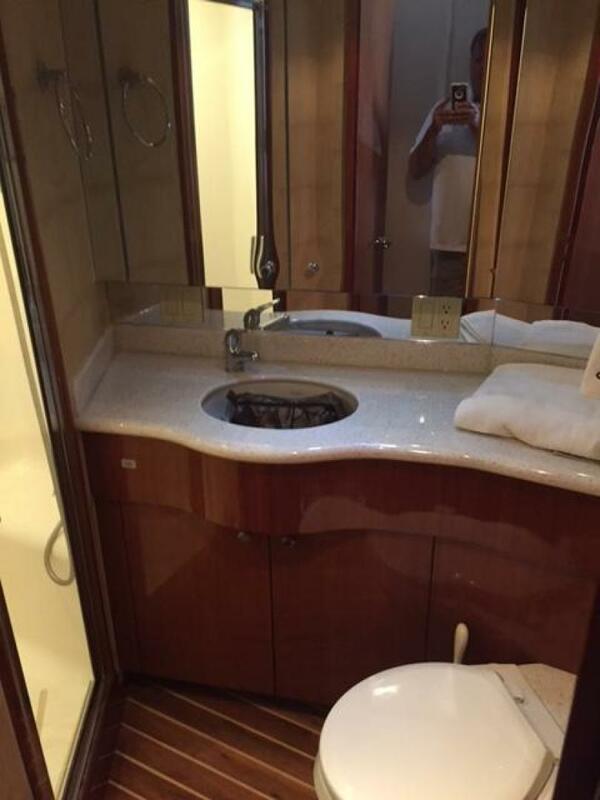 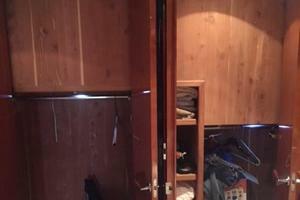 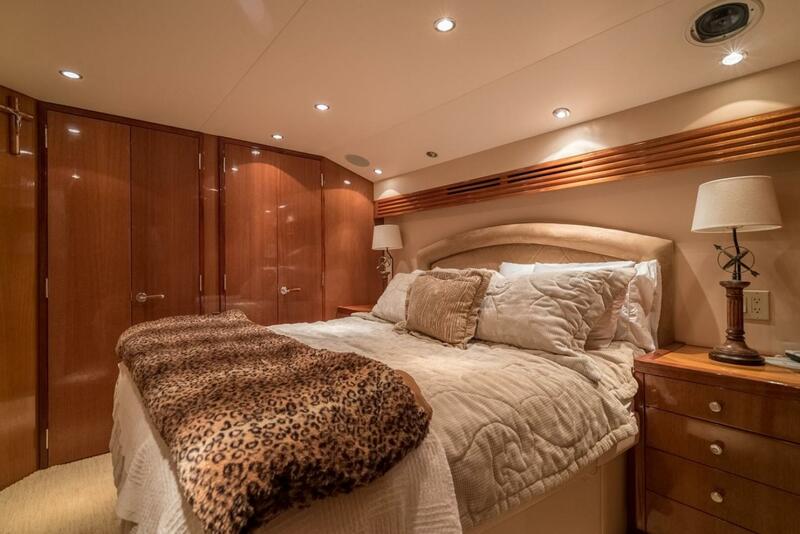 Forward there are two dressers providing ample storage, as well as nightstands on either side of the berth. 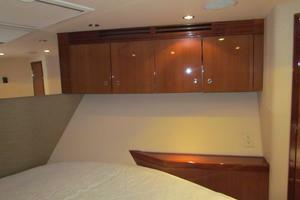 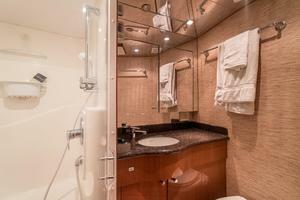 The bow guest stateroom features a walk around berth with good storage and aft, a bunk room with over/under berths. 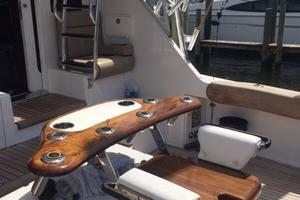 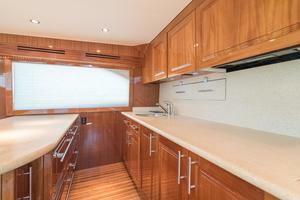 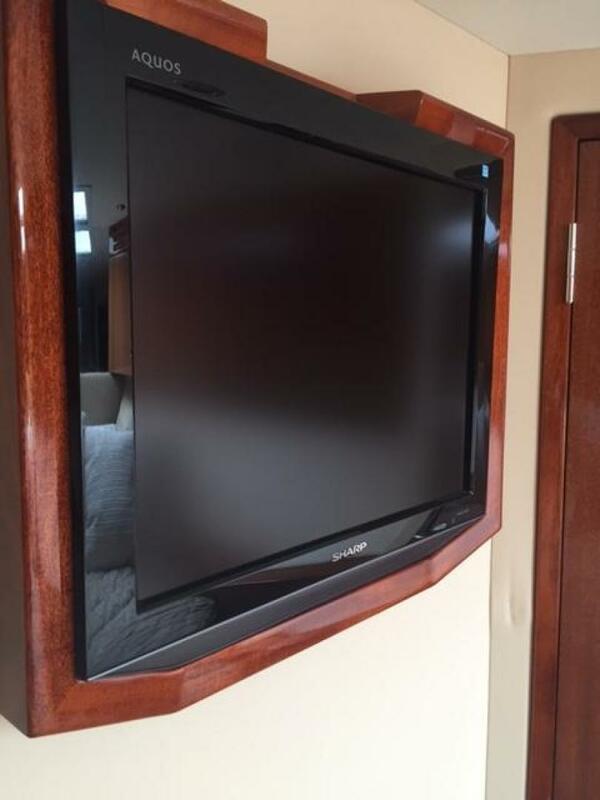 The Hatteras salon features a high gloss mahogany wood interior. 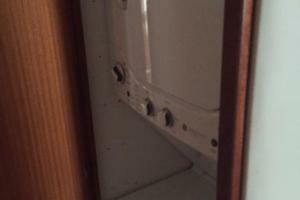 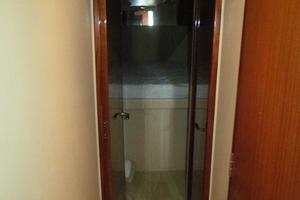 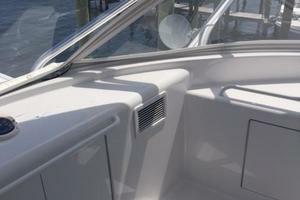 The salon door, is located to starboard and is air acuated for ease of entry. 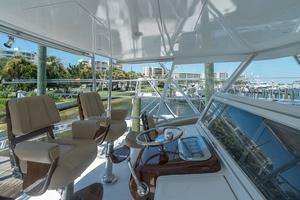 Once inside you have good exterior light through the large frameless windows. 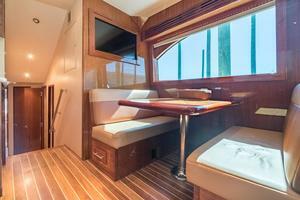 Wood valances on either side allow the a/c to flow over the top and across the room. The Mahogany wood and lack of fabric valances keep the room neutral allowing you to quickly change the color scheme throughout. To port, you'll find Hatteras' renown L-shaped sofa which provides for rod storage beneath and within the arms of the sofa. 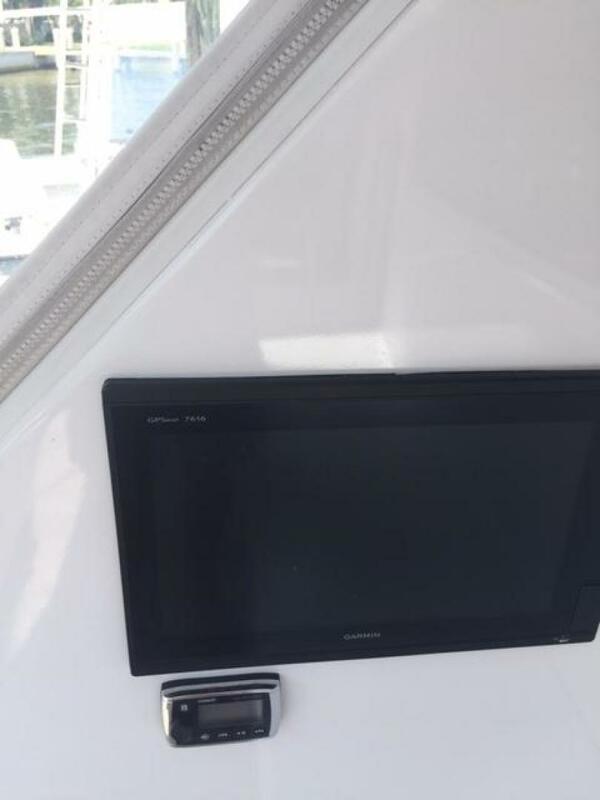 Adjacent you will find a LED screen TV, icemaker and electrical panel that is easily accessed just inside the salon door. 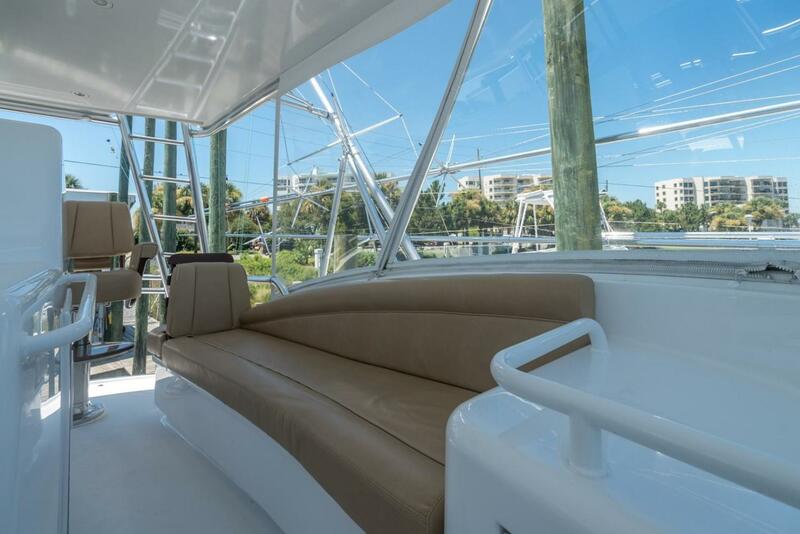 The galley was custom designed with a booth style dinette, built adjacent to the pennsunila style galley with overhang and two pneumatic bar stools to accommodate seating for six. 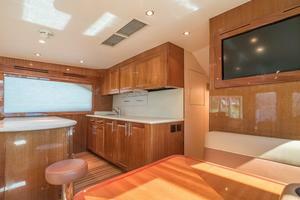 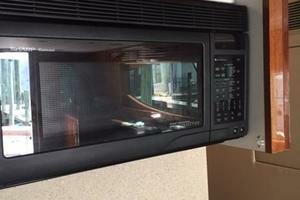 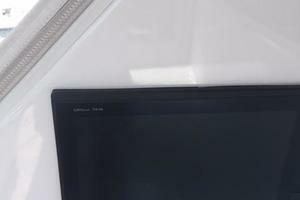 Directly above the dinette is a second TV. 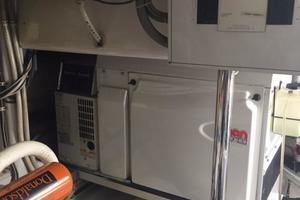 Amenities within the galley include raised panel cabinet doors, undercounter Subzero refrigerator and freezer units, recessed cooktop to allow more working space when not in use, microwave/ convection over hidden by a mahogany door. 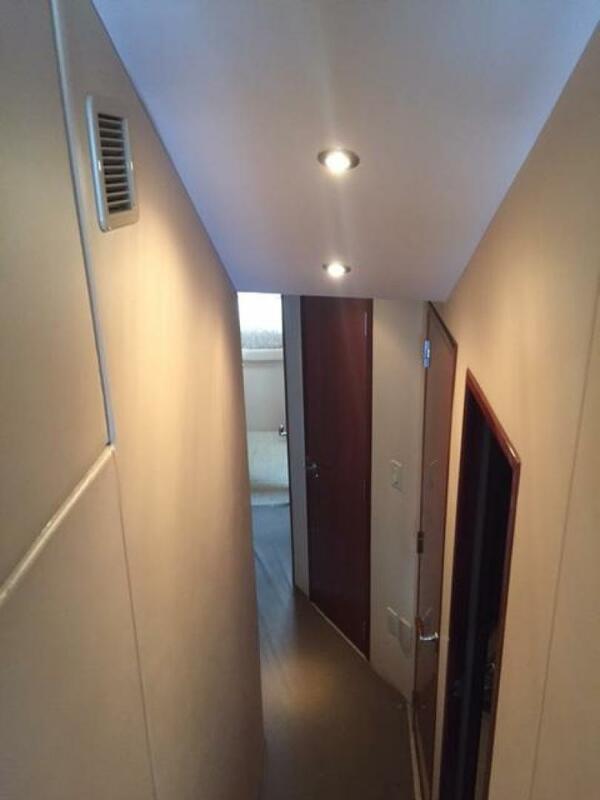 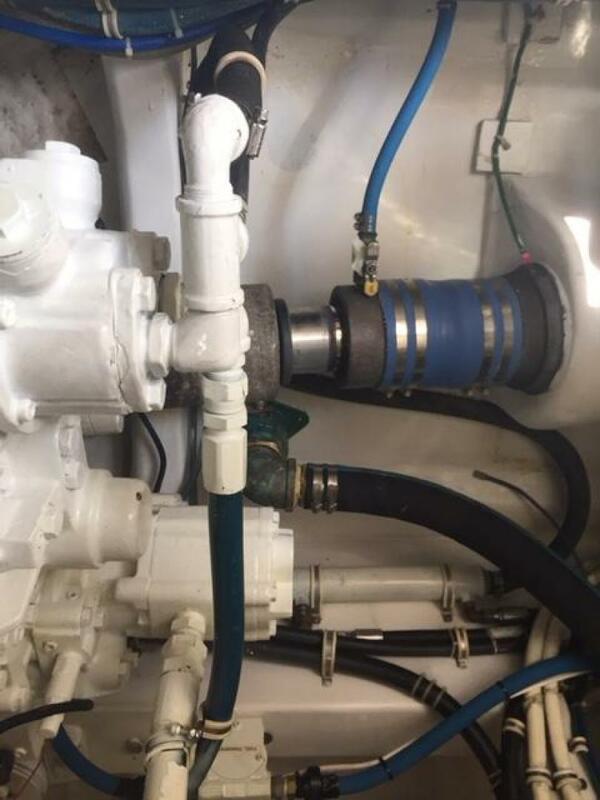 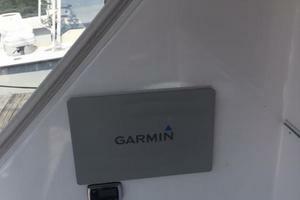 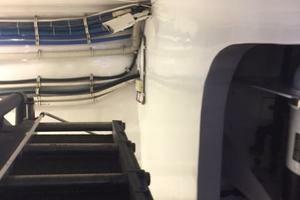 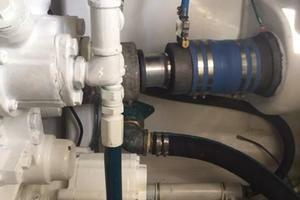 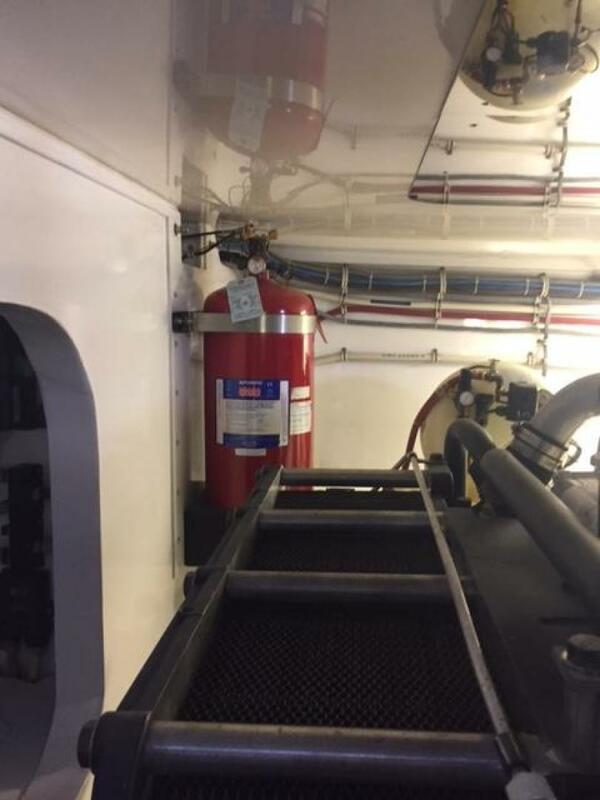 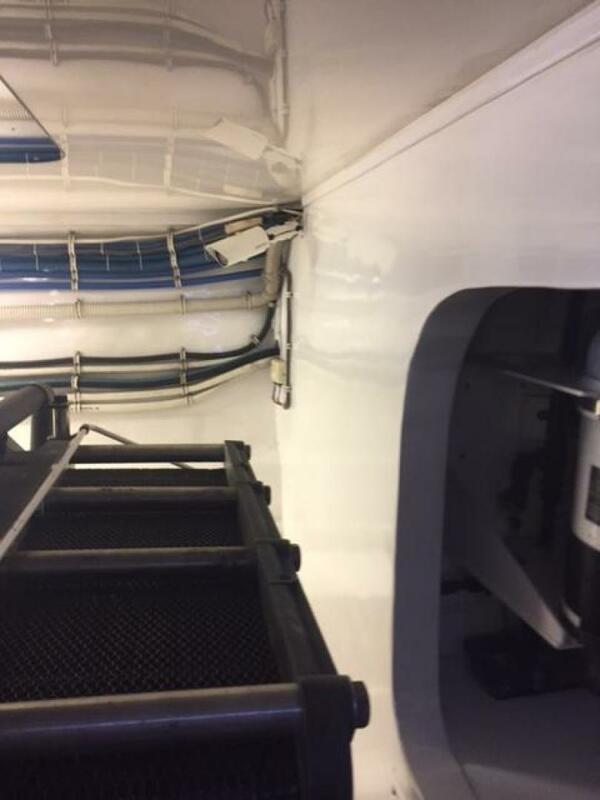 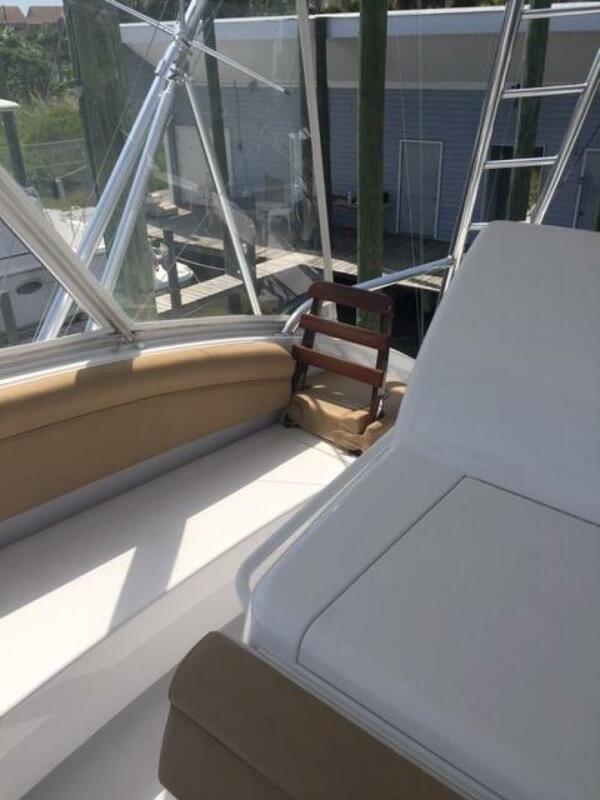 As you proceed to the lower deck, you will access the stairs with storage to port and starboard, doors to three staterooms, the day head and to the stacked washer/ dryer. 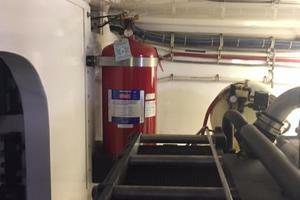 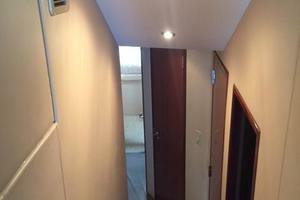 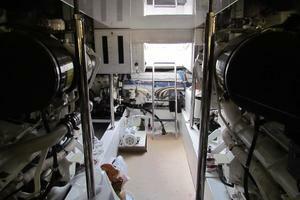 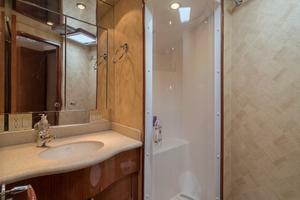 The master stateroom provides for a King size walk around berth positioned awthorthsip against the hull side. 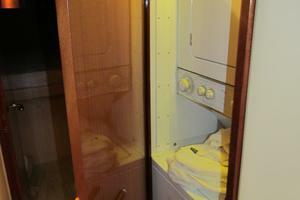 The stateroom has great storage. 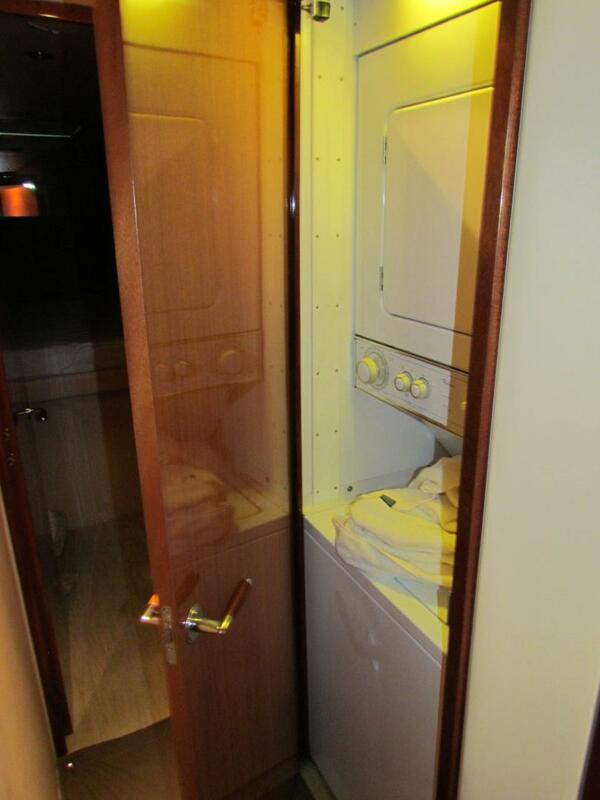 Underneath the king berth is cedar lined lockers and forward are two separate drawer banks plus nightstands on either side of the queen berth. A generous sized en-suite head with shower and seat, headhunter freshwater toilets, mirrored ceilings and solid surface countertops. 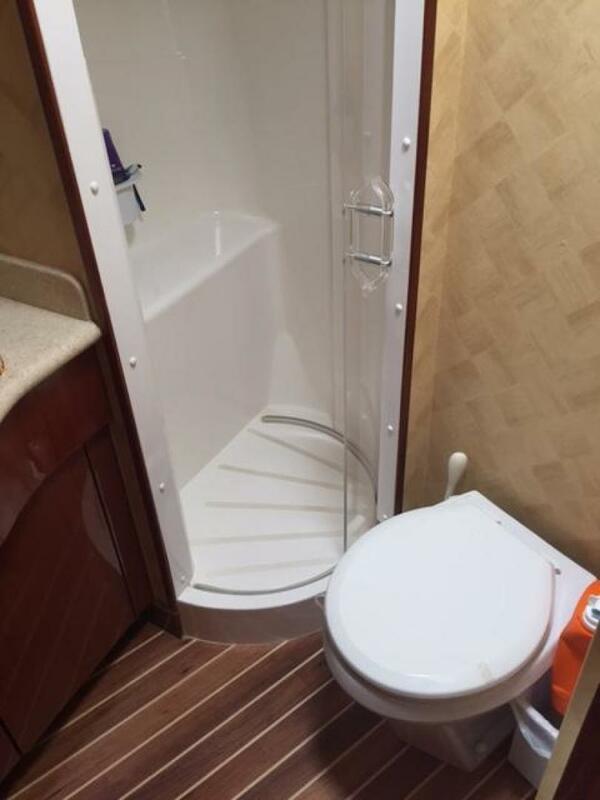 Ensuite head features stall shower with seat, solid surface countertops, head hunter toilet, mirrored ceilings, amtico flooring, mahogany wood cabinet with storage above and mirror. 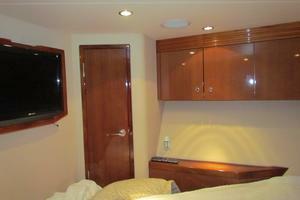 The bow stateroom provides for a walk around queen berth with hinged access to cedar lined locker below. 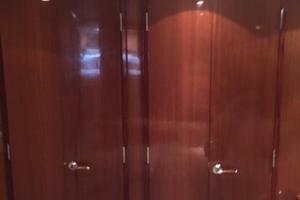 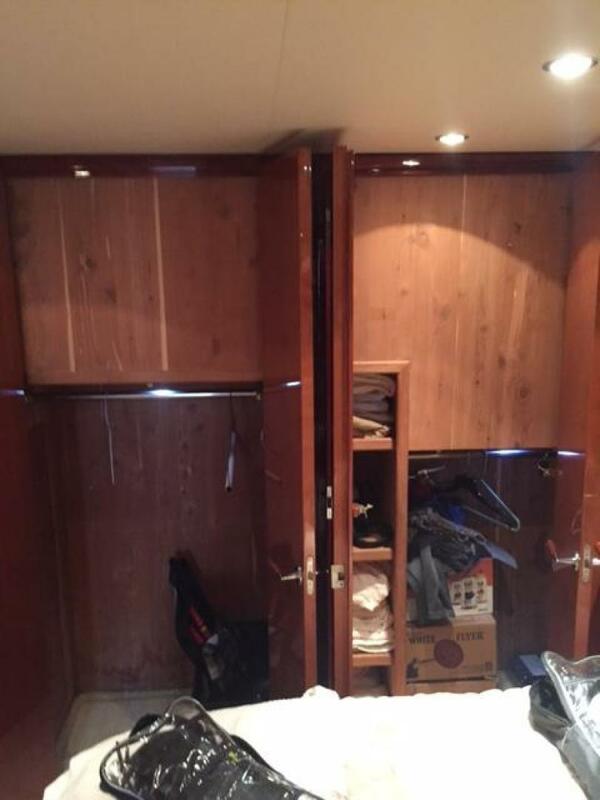 On either side of the berth or cedar lined lockers as well as storage lockers to port ad starboard hullsides. 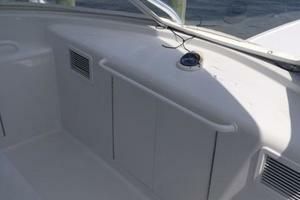 For exterior light, a hatch is located above and you'll find an ensuite head. 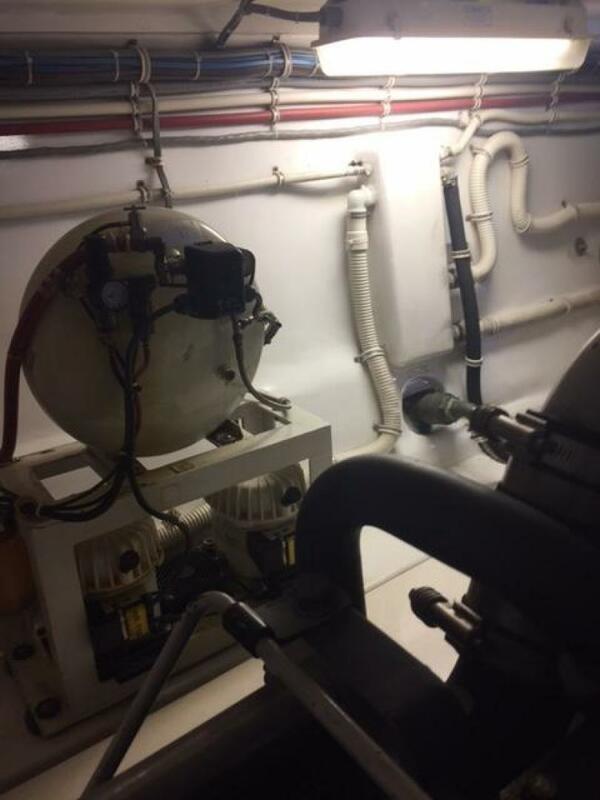 Just down the companionway and to the starboard side you will find the third stateroom, with upper and lower berths, a full size cedar lined hanging locker and a door to the day head from the cabin. 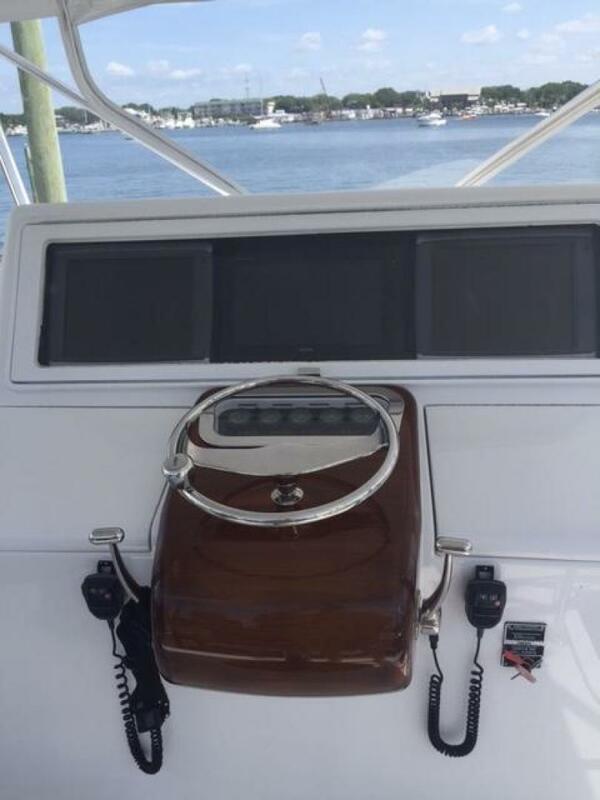 The cockpit provides a fisherman's dream. 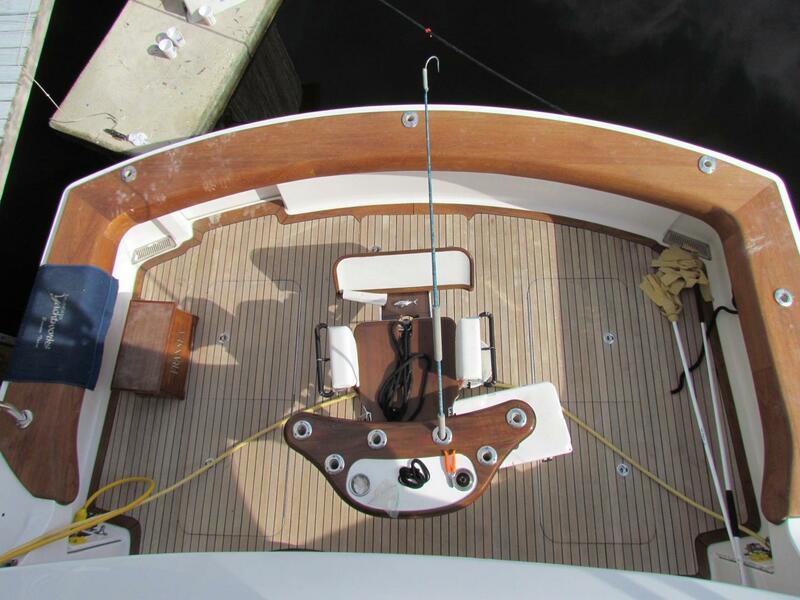 She is equipped with both a teak mezzanine and cockpit deck as well as coaming and covering boards, a Murry Brother's Fighting Chair, mezzanine freezer, transom fish box with livewell, chipped ice machine, underwater lights, and rod holders in the gunnels and coaming boards. 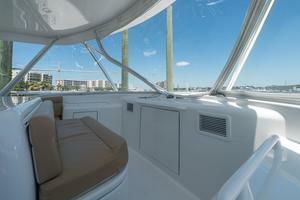 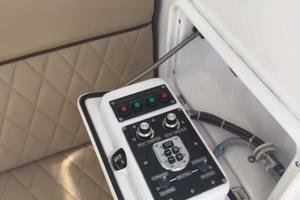 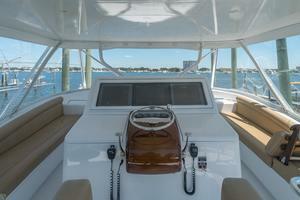 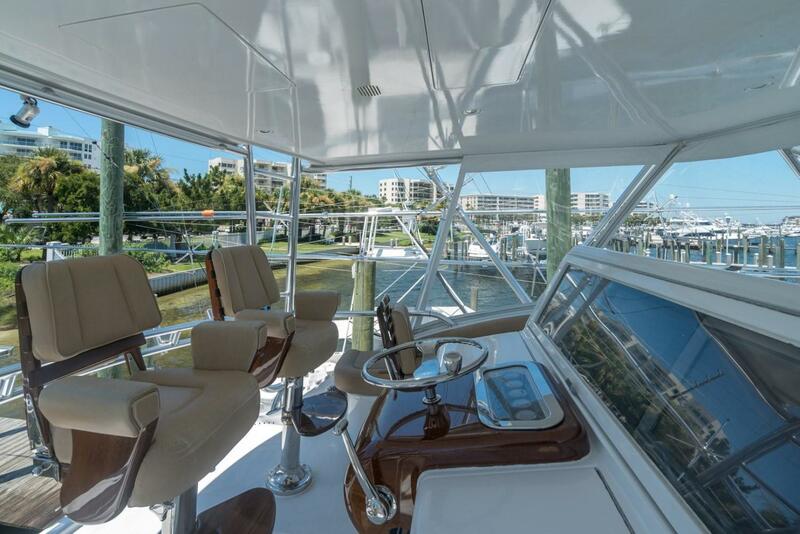 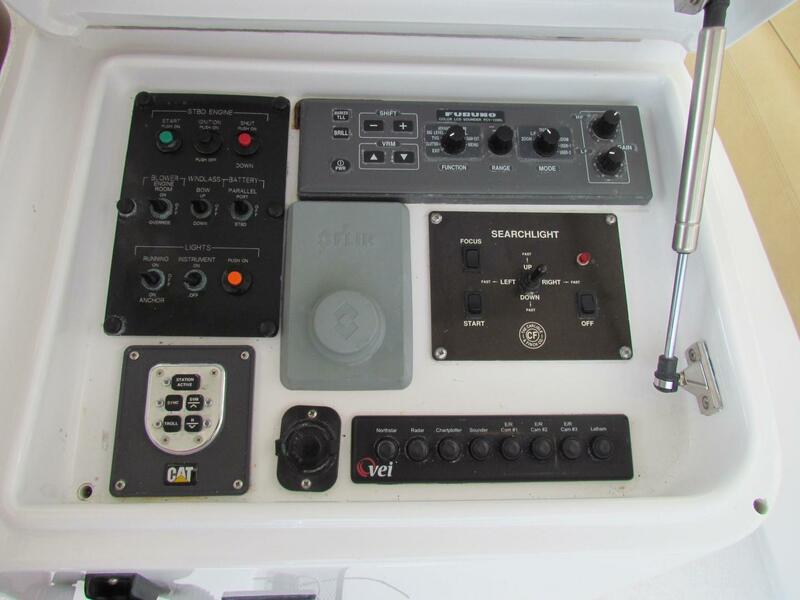 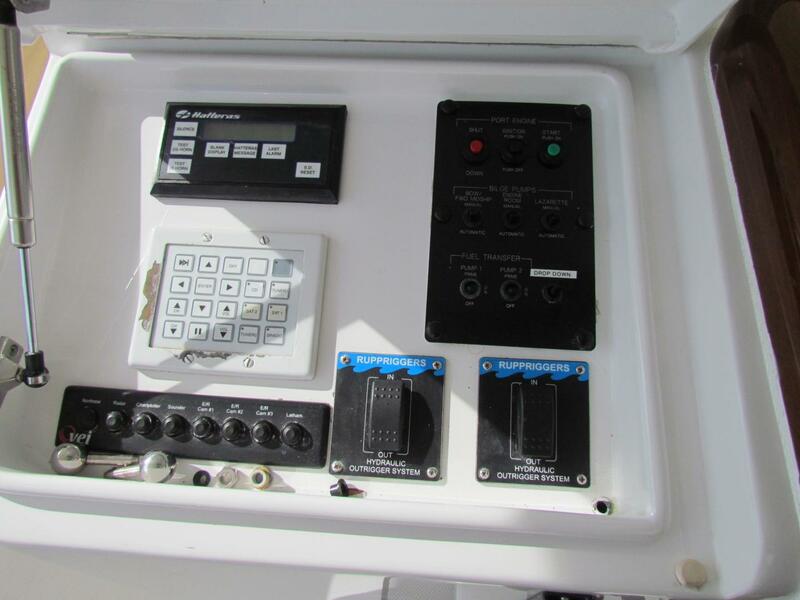 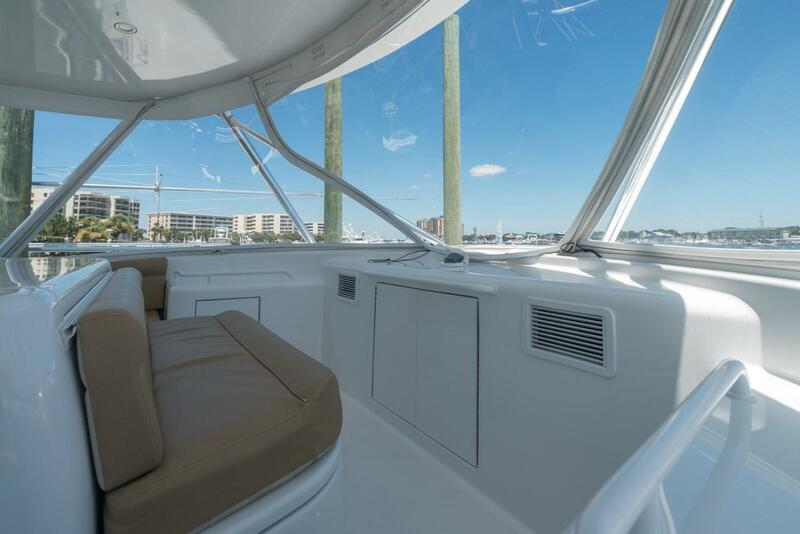 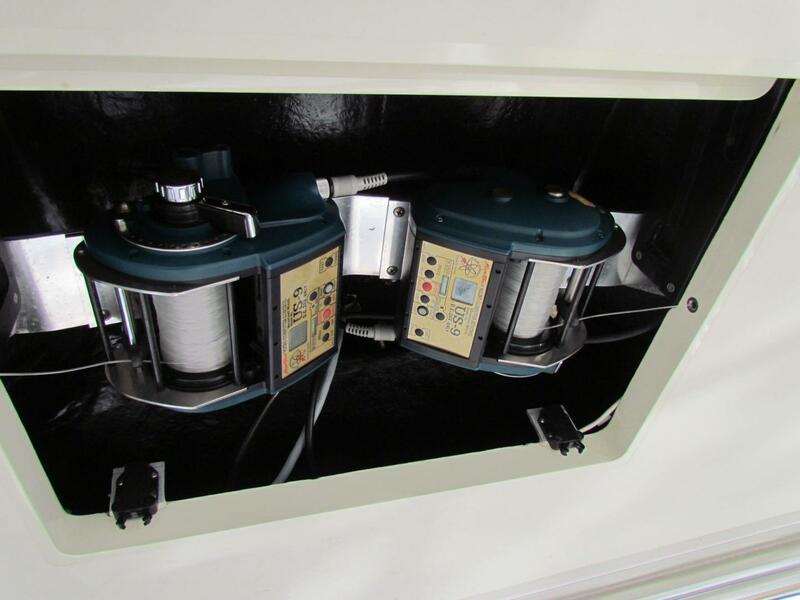 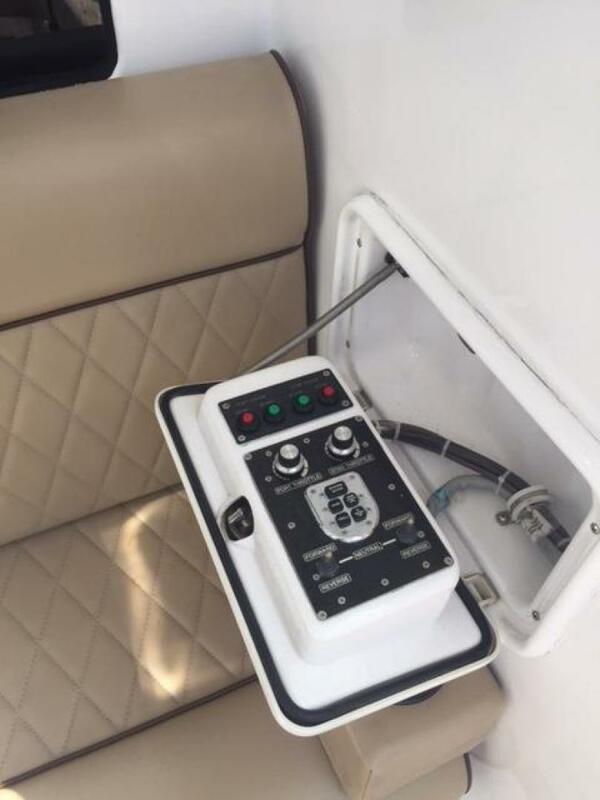 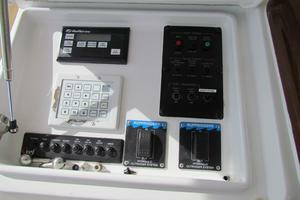 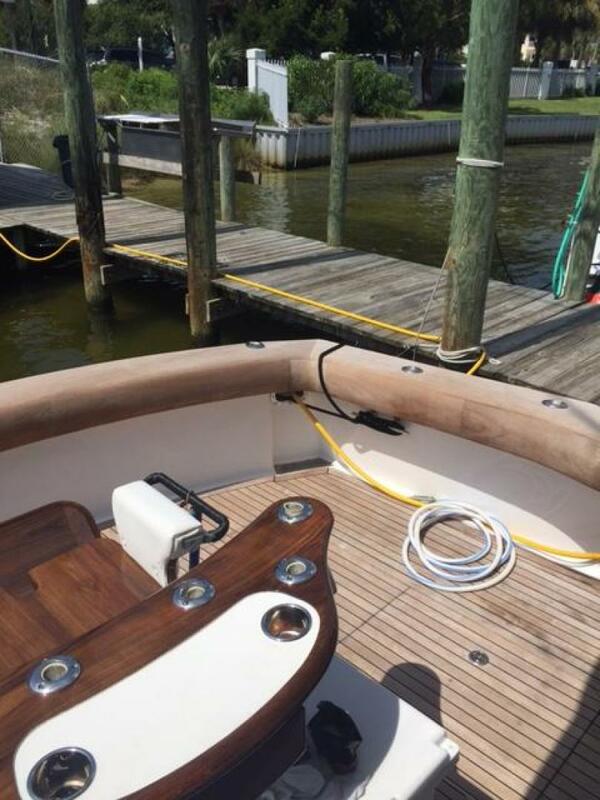 The Flybridge is built with a center walk around console, nice electronics, Bausch tower, and electric teaser reels. 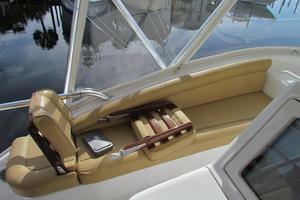 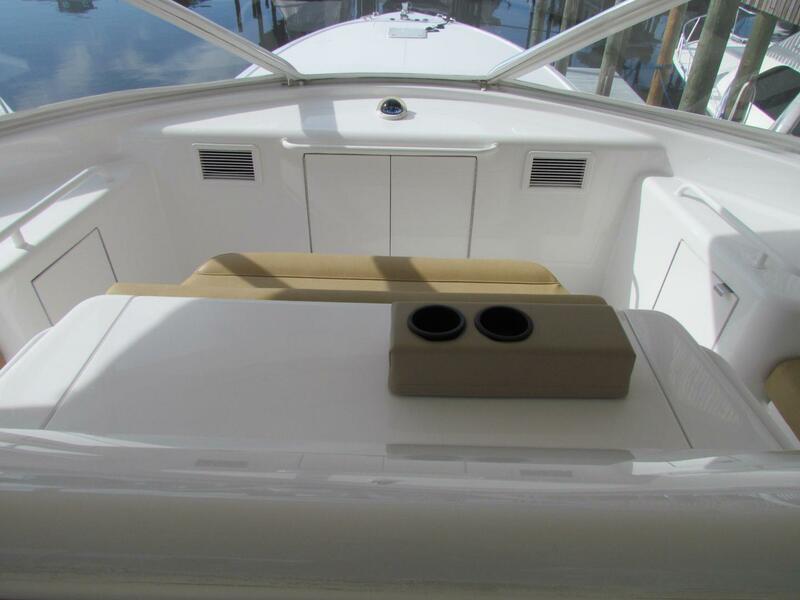 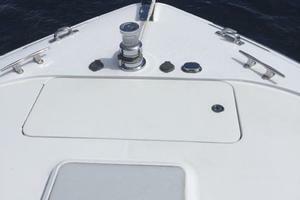 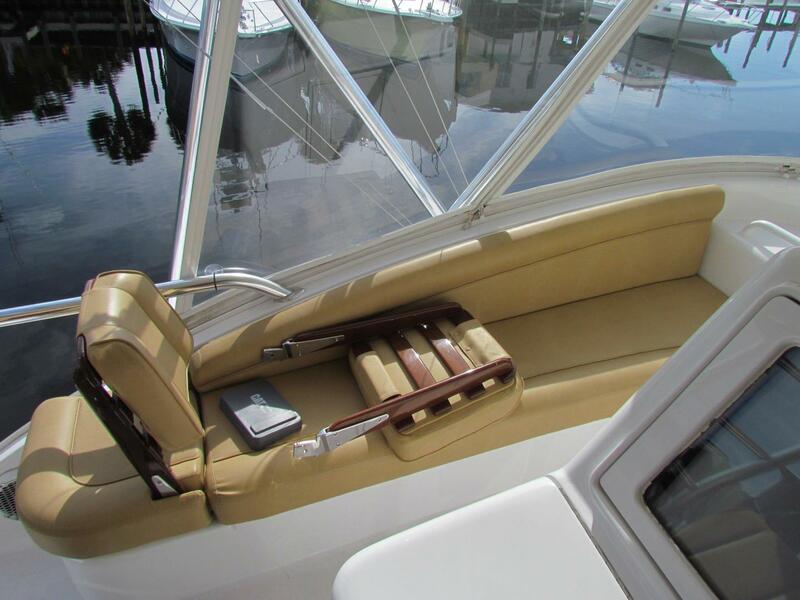 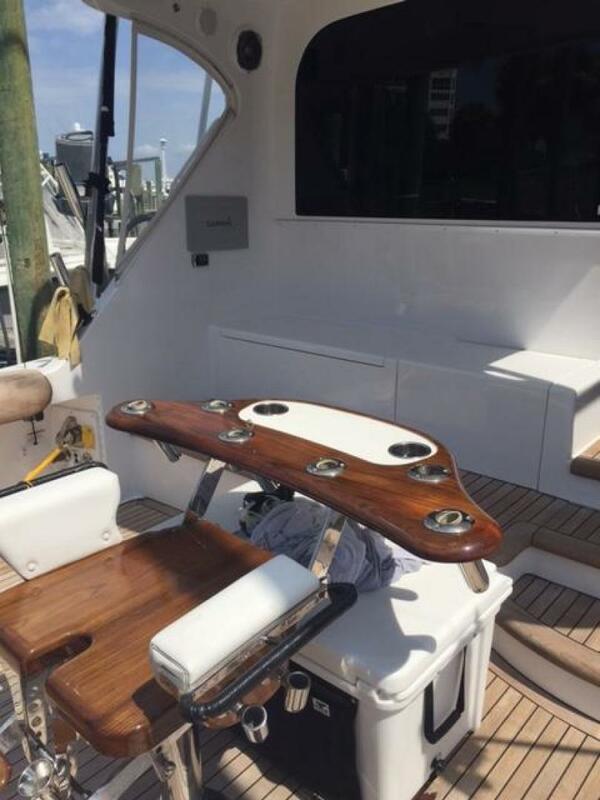 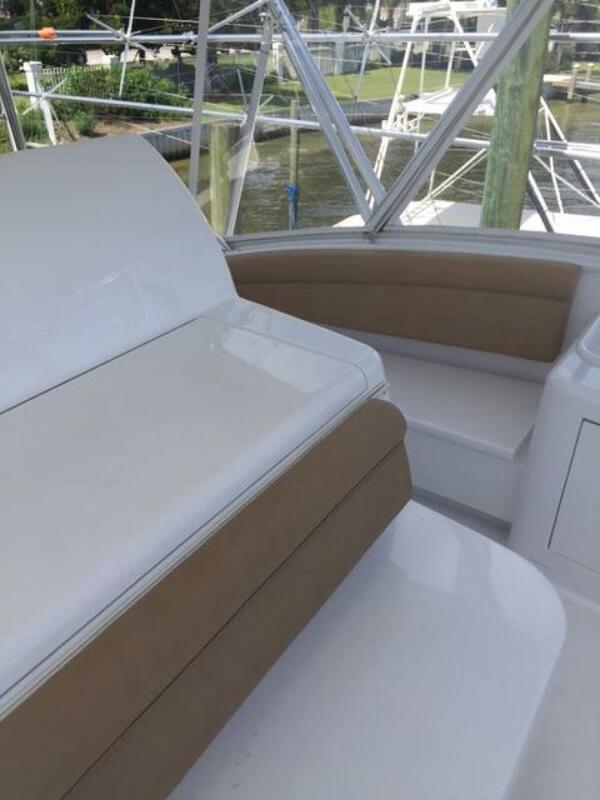 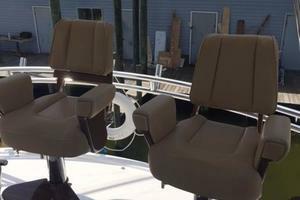 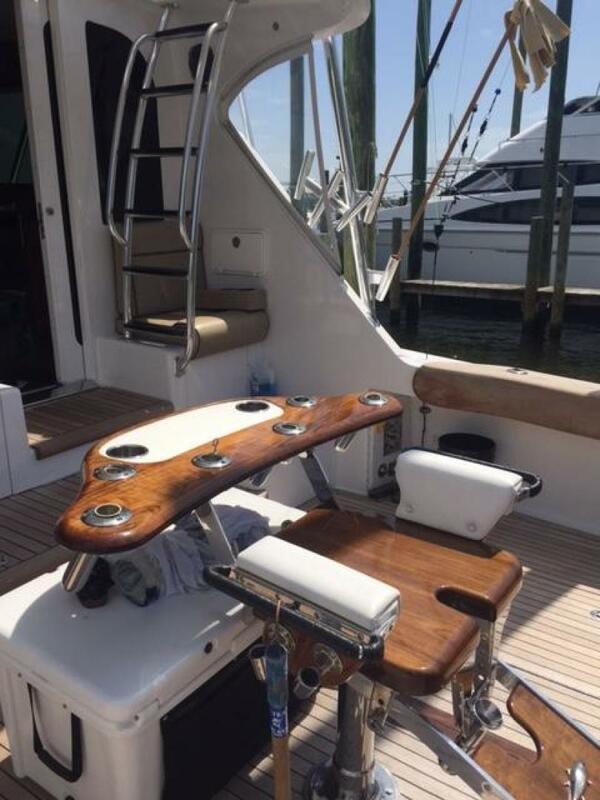 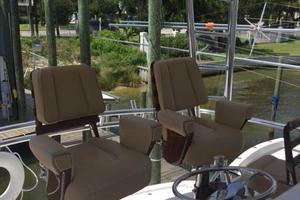 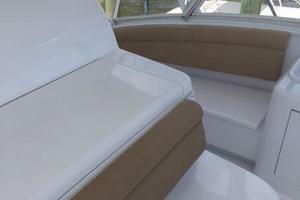 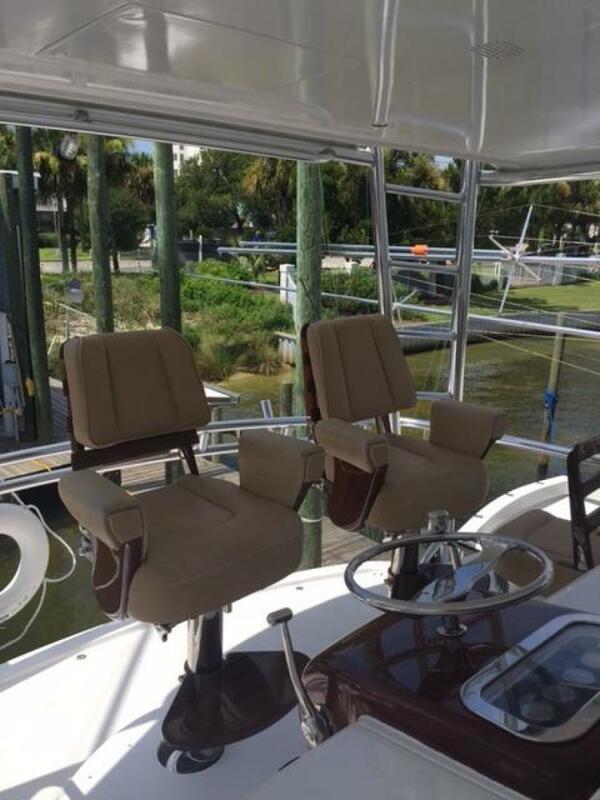 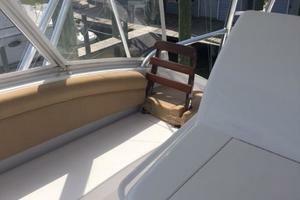 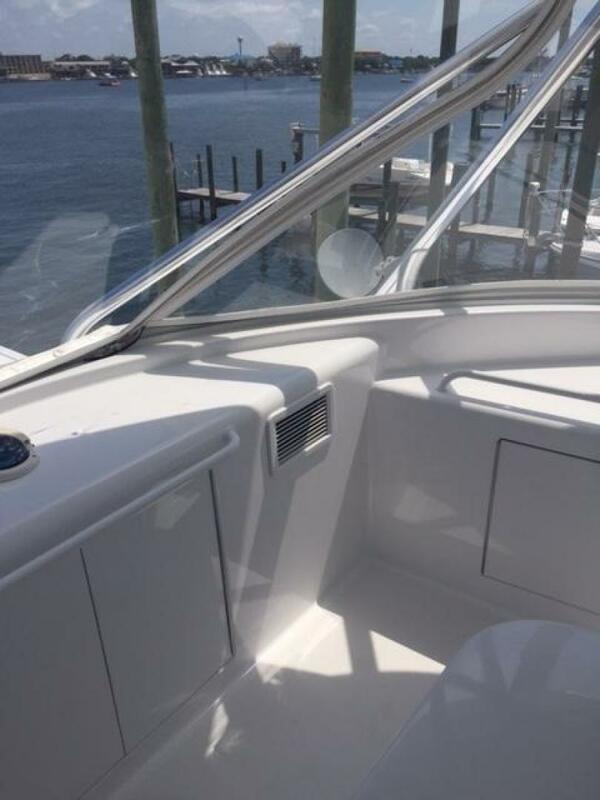 Twin Murry Helm Chairs sit just aft the center console and additional seating is found both in front of the helm and to the port and starboard side. 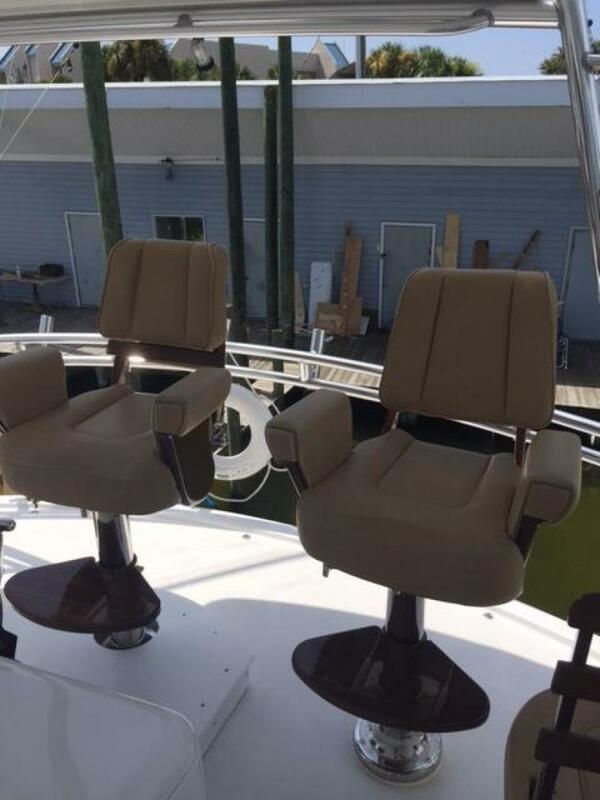 Jump seats allow you to sit and watch the baits facing aft or turn them around to sit facing forward. 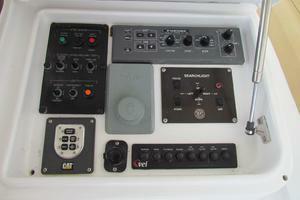 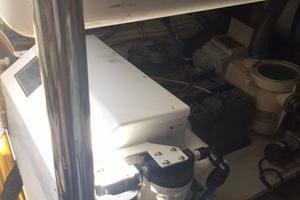 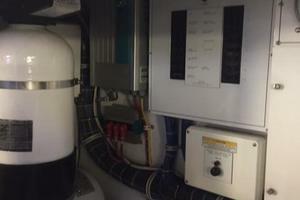 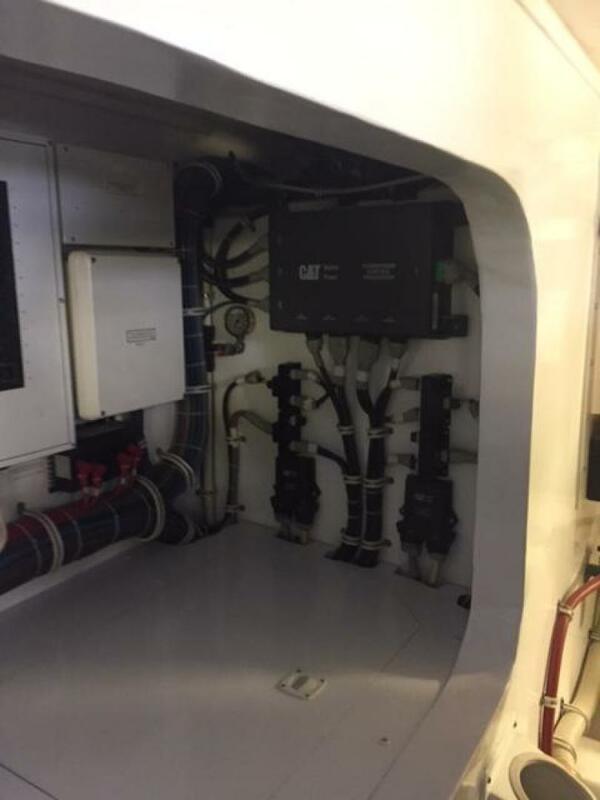 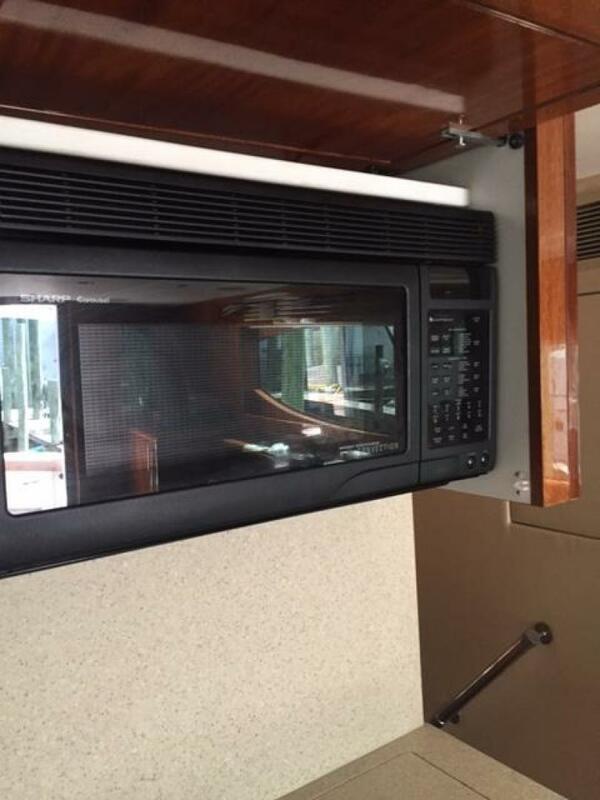 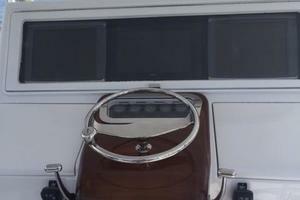 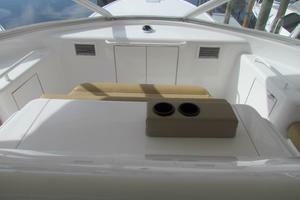 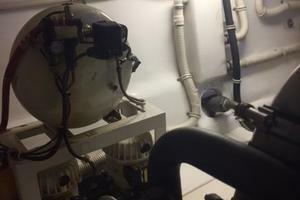 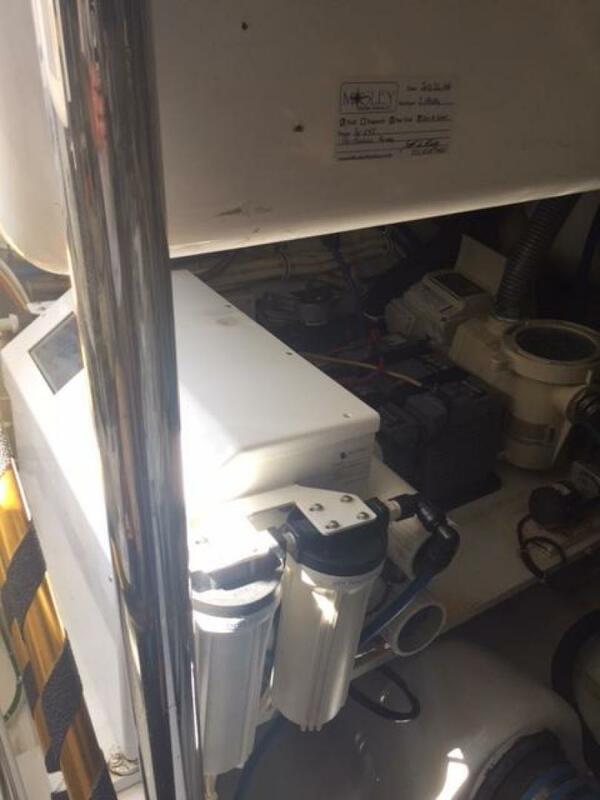 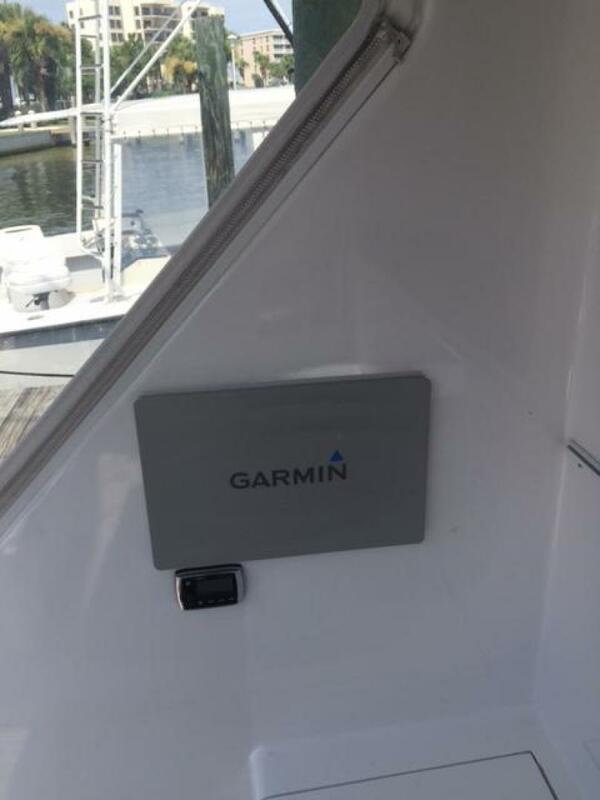 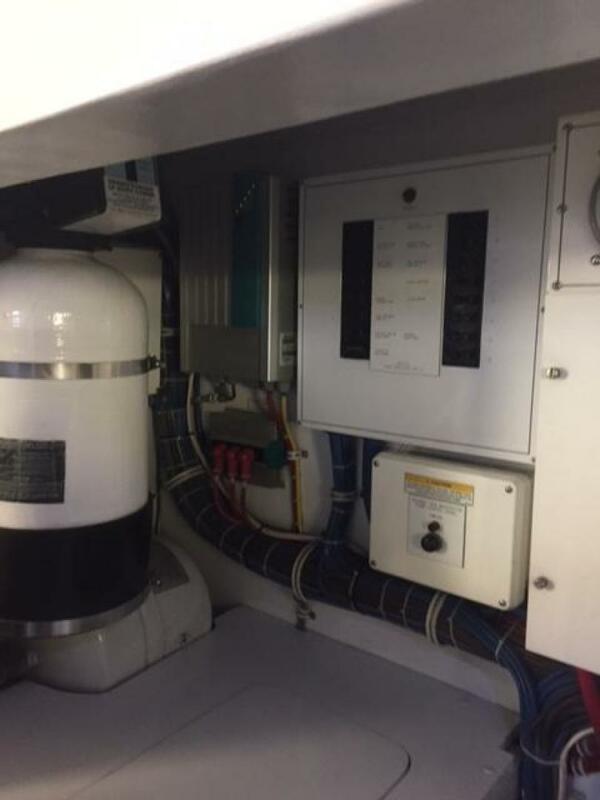 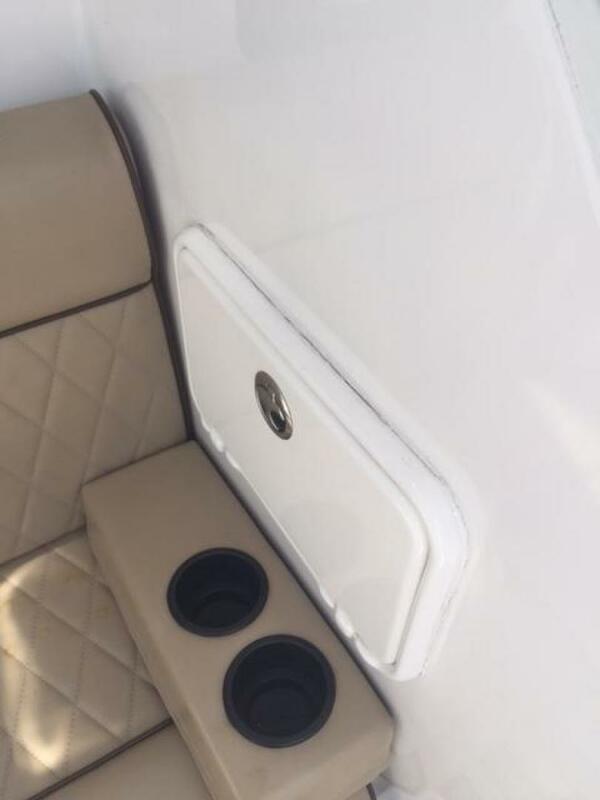 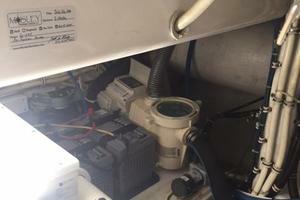 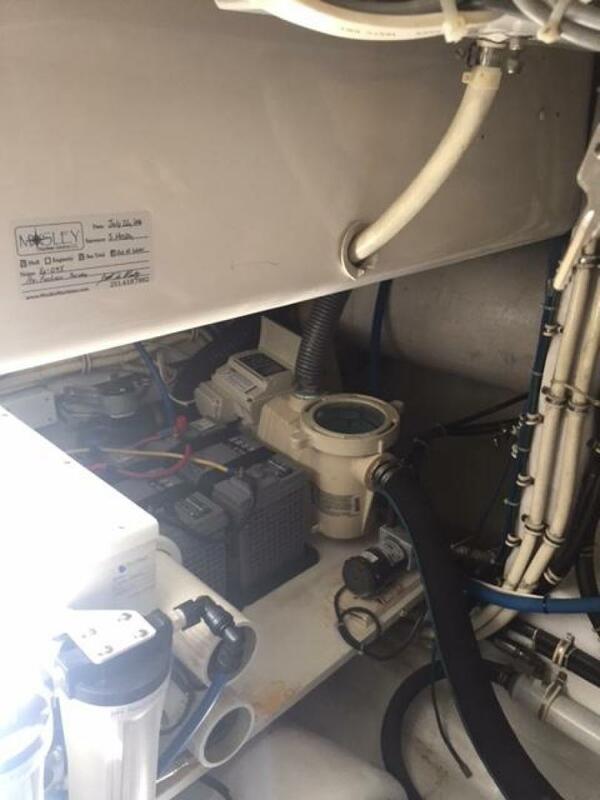 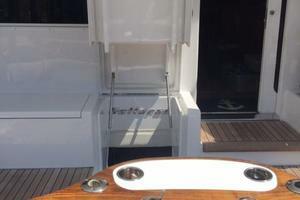 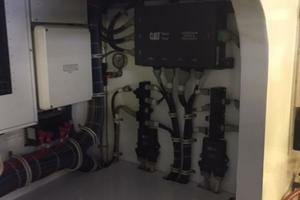 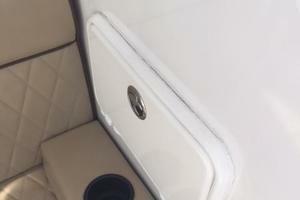 As an added bonus, the boat has flybridge a/c and a freezer forward of the console. 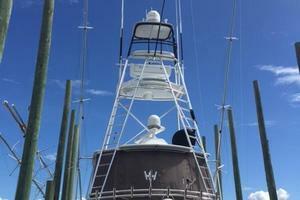 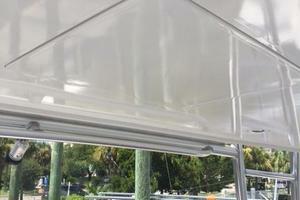 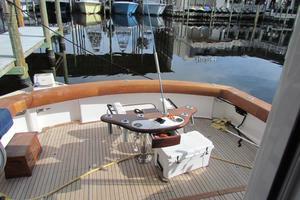 Bausch tower equips this fish rigged boat and houses the electric teasers. 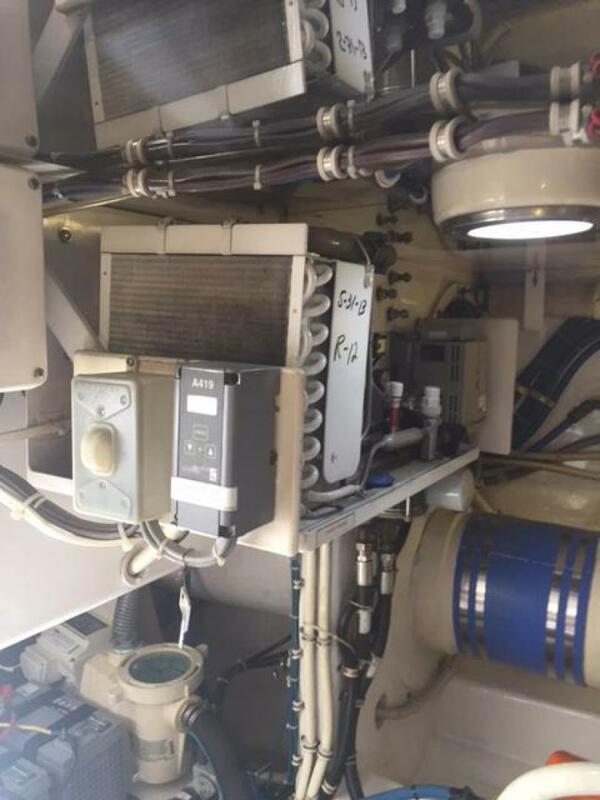 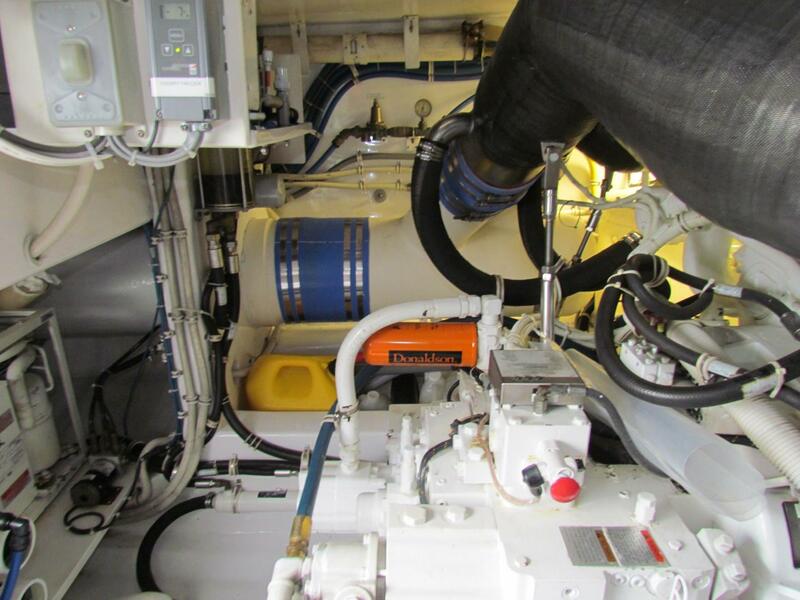 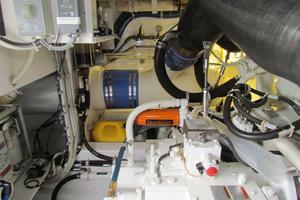 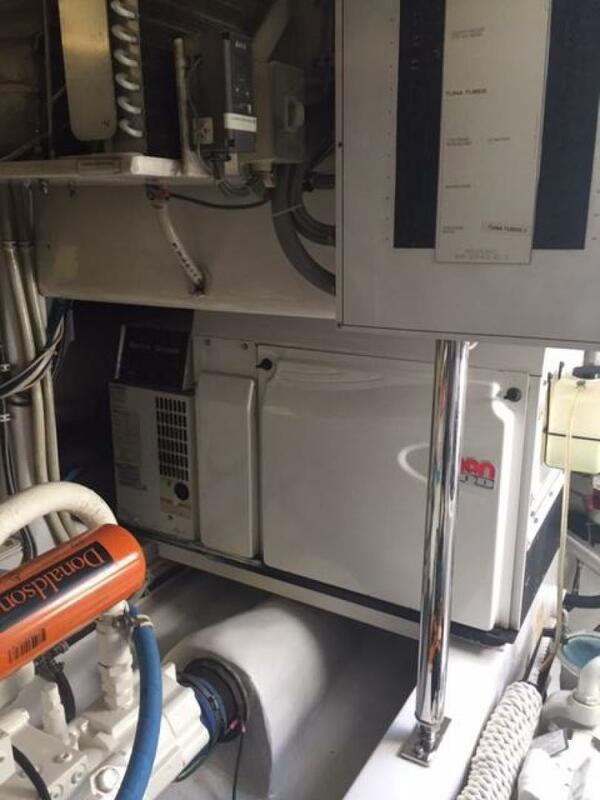 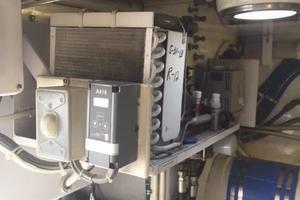 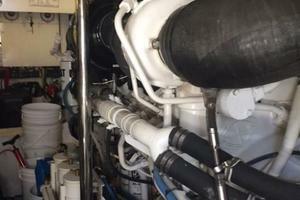 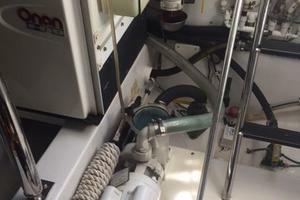 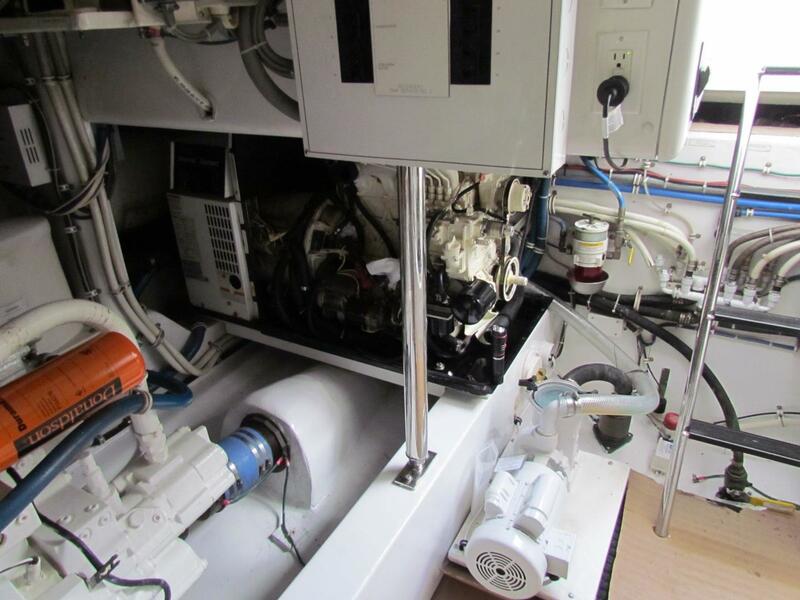 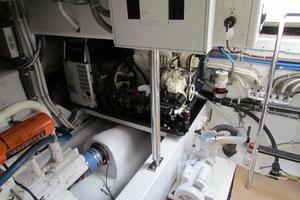 All services on engines and generator up-to-date with records available upon request.